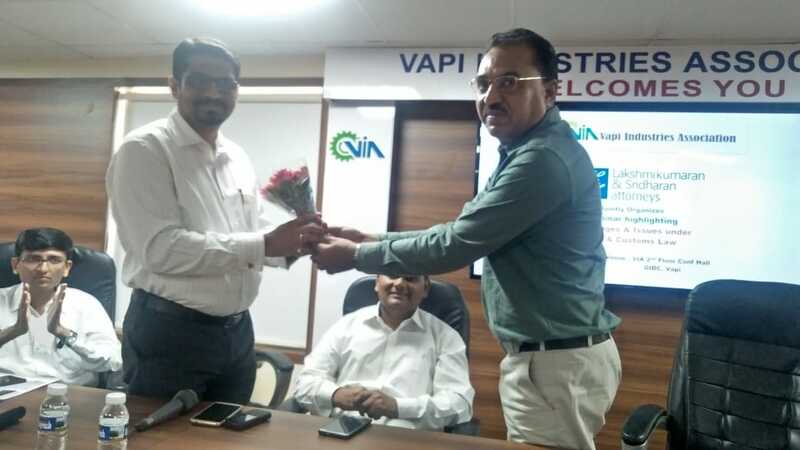 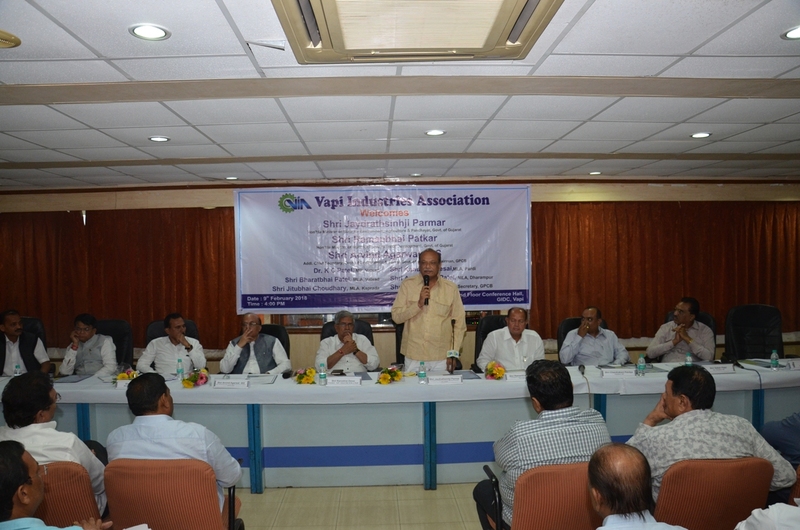 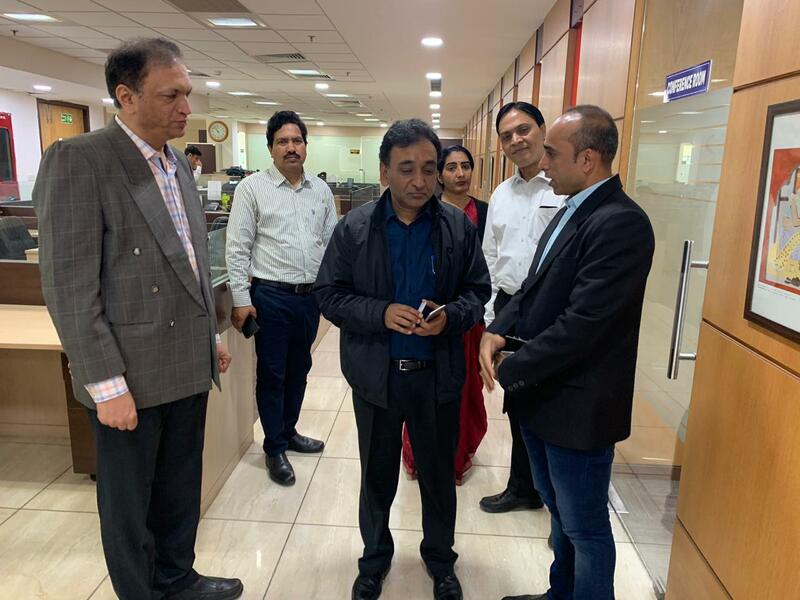 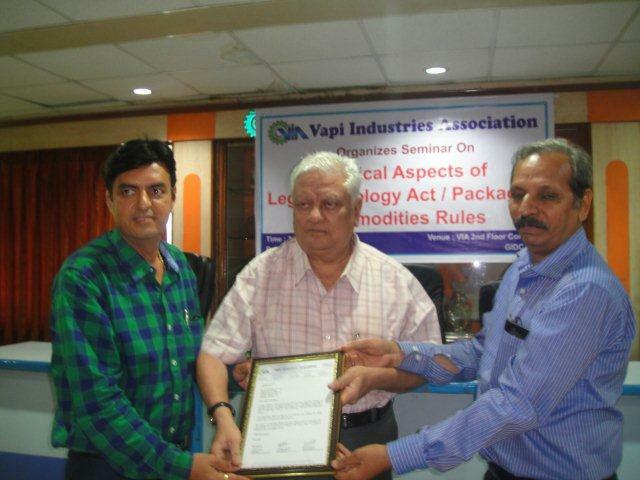 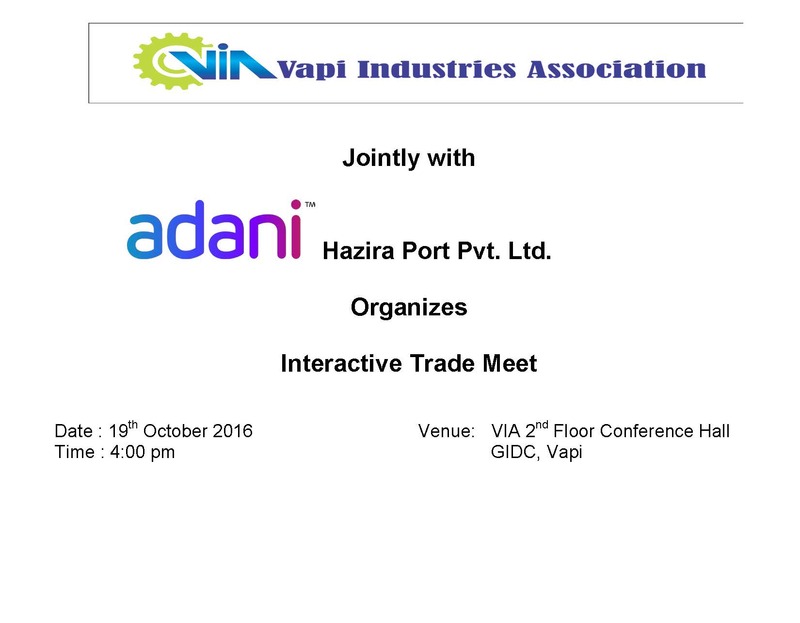 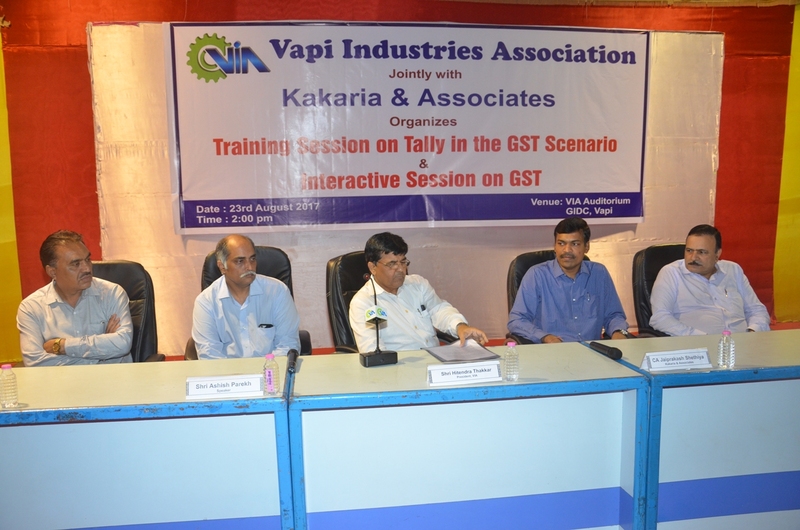 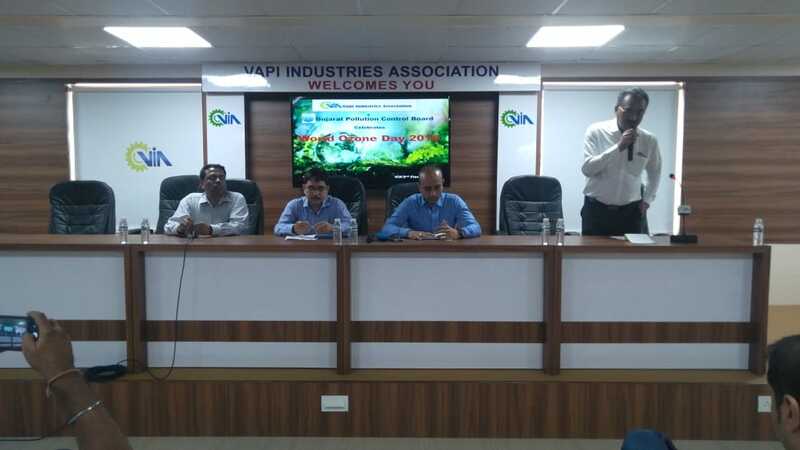 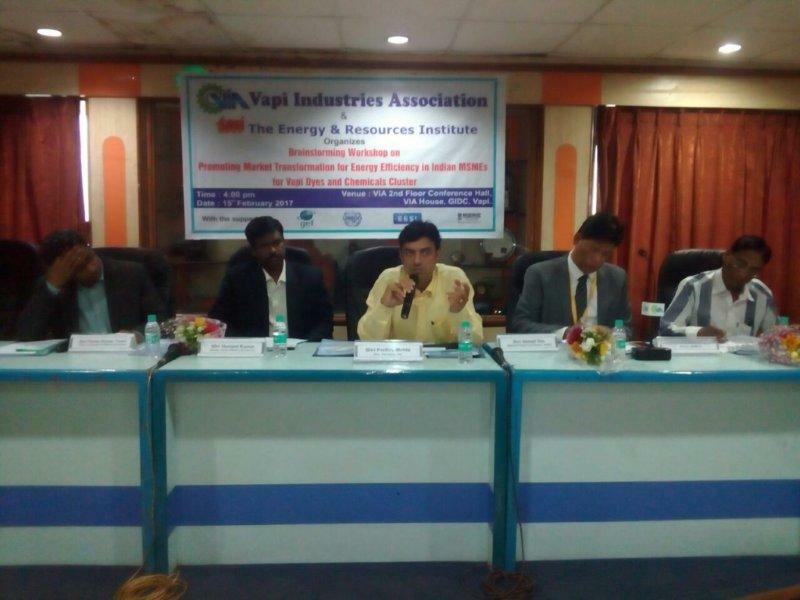 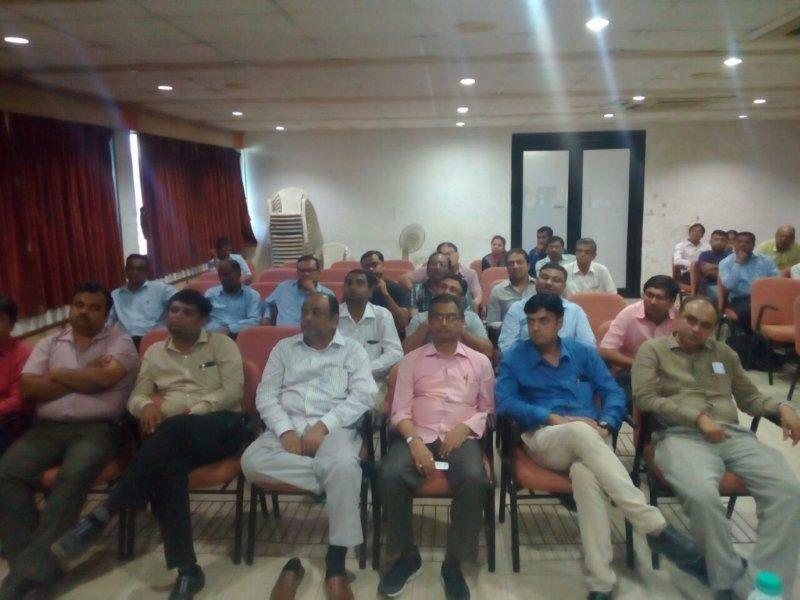 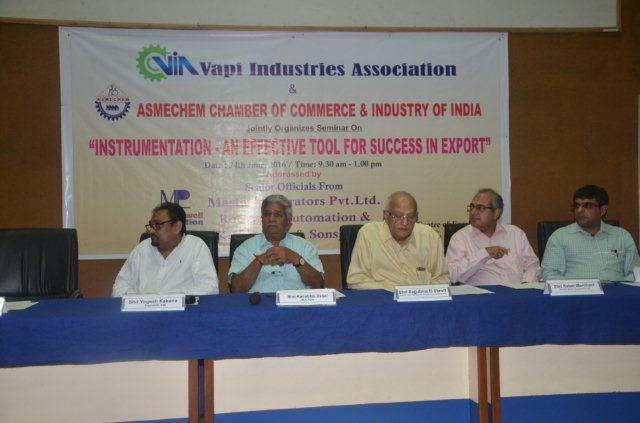 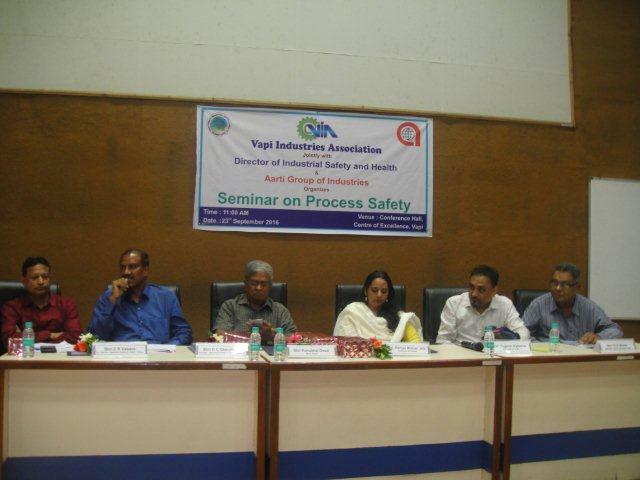 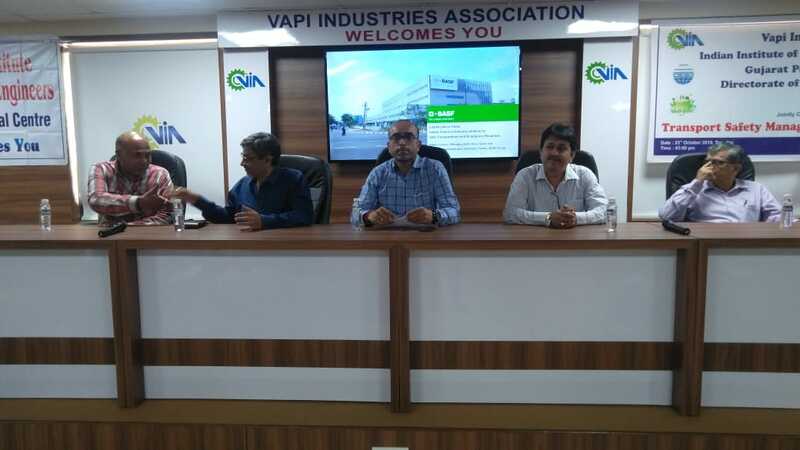 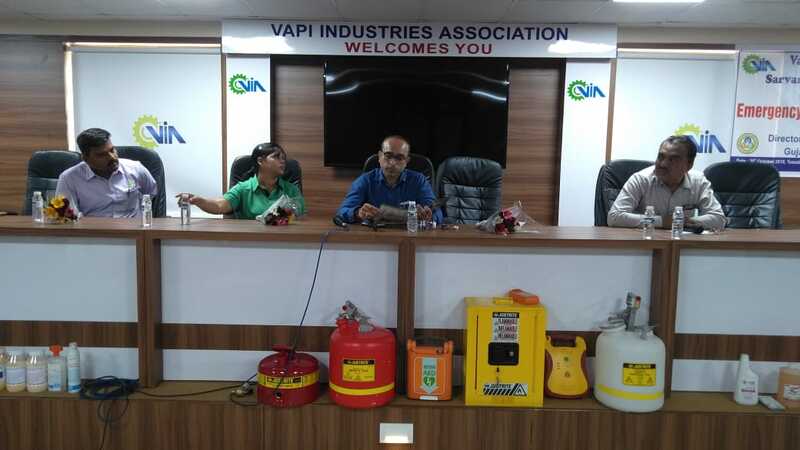 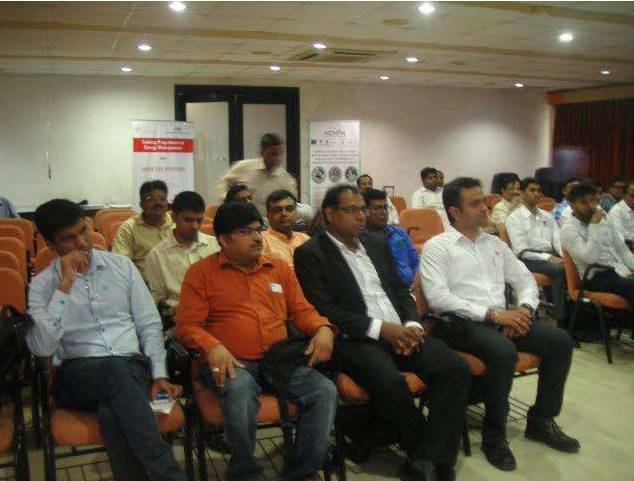 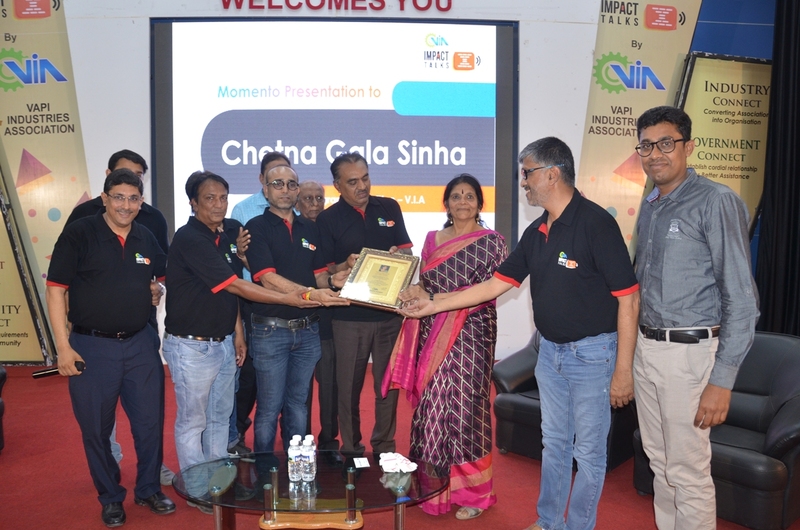 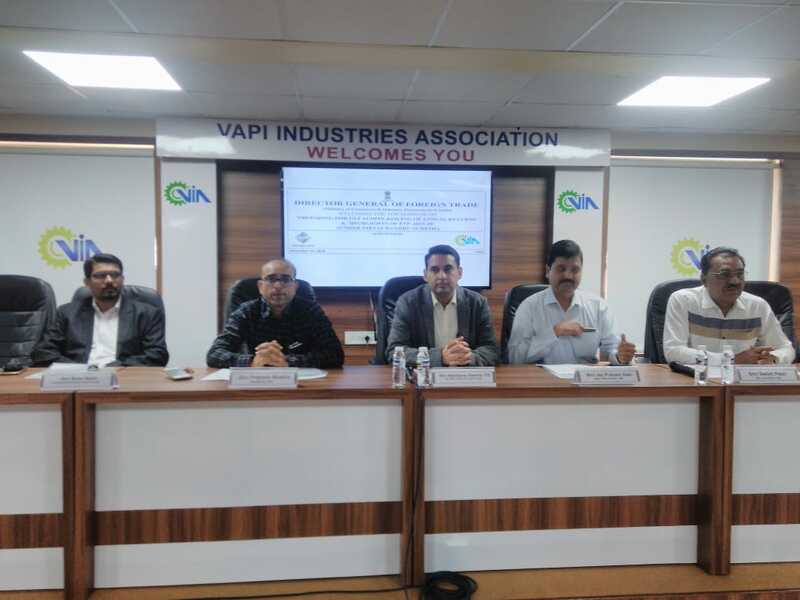 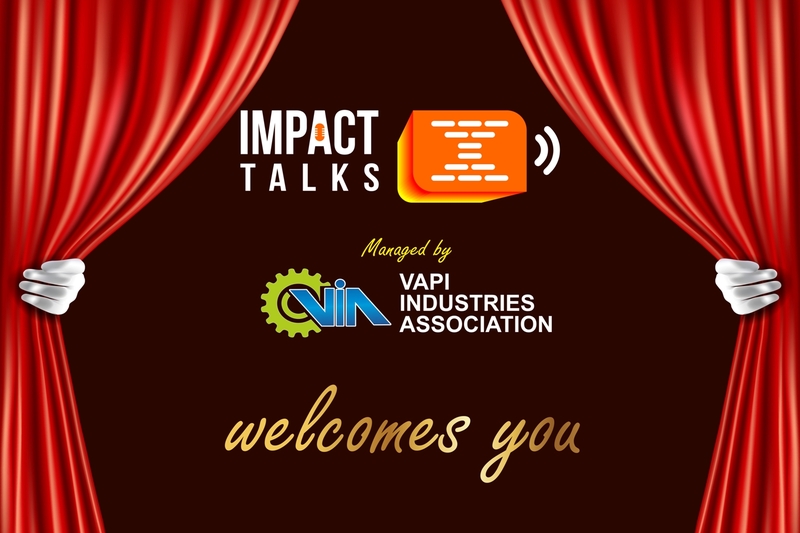 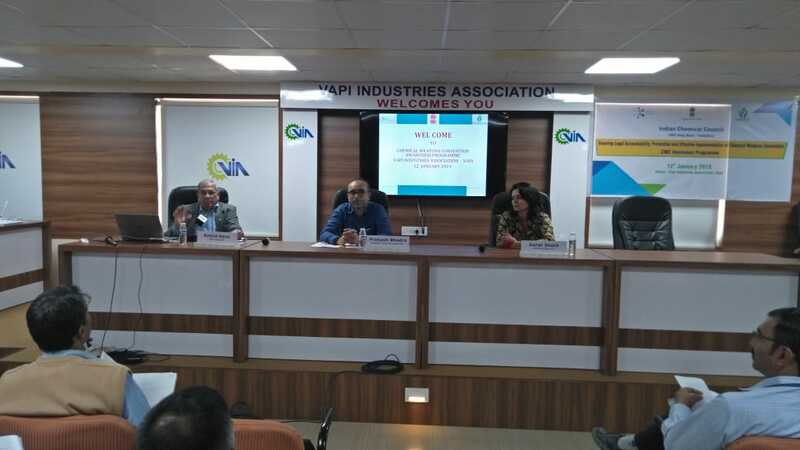 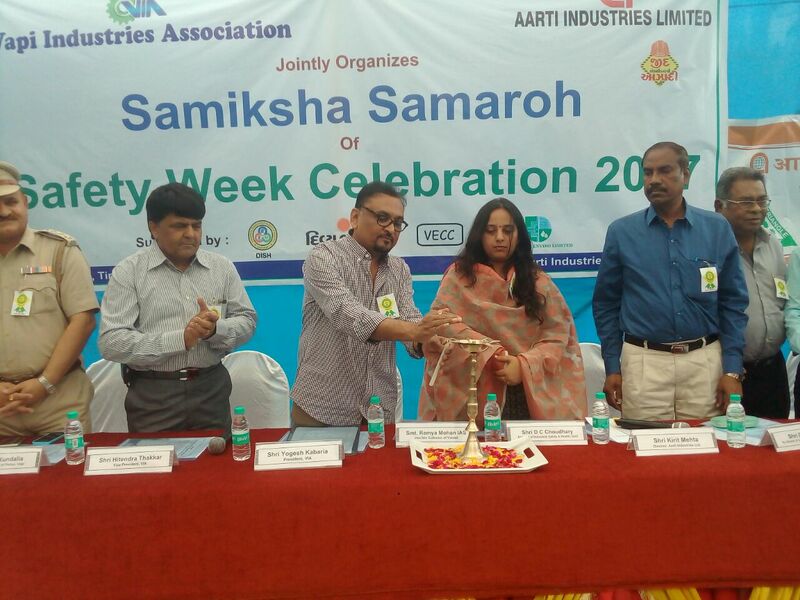 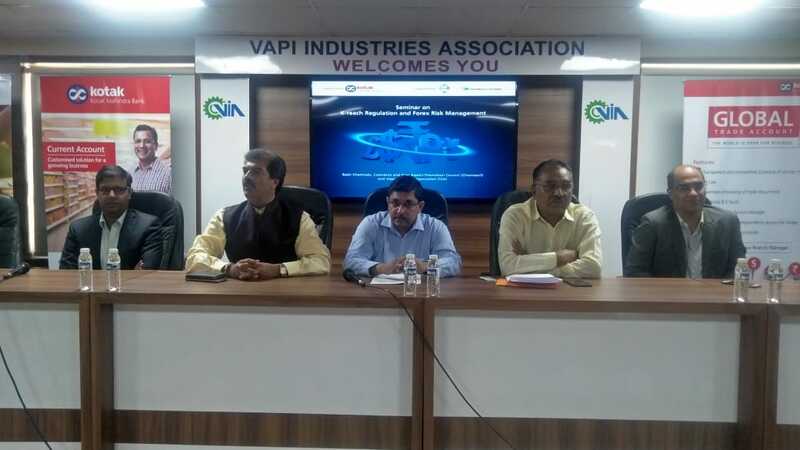 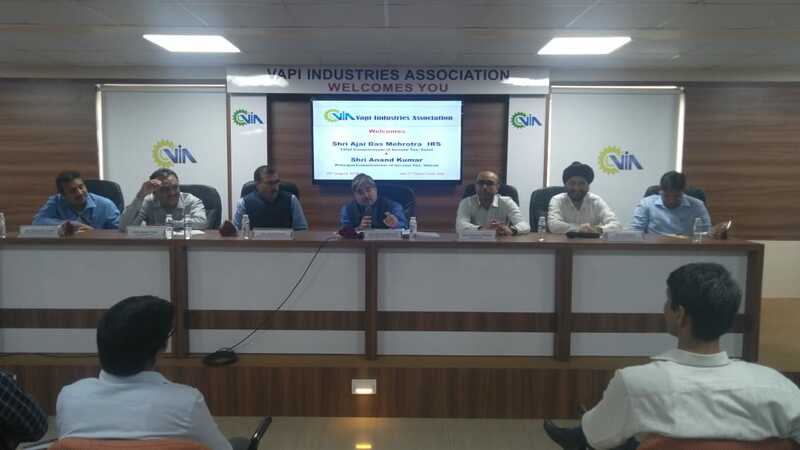 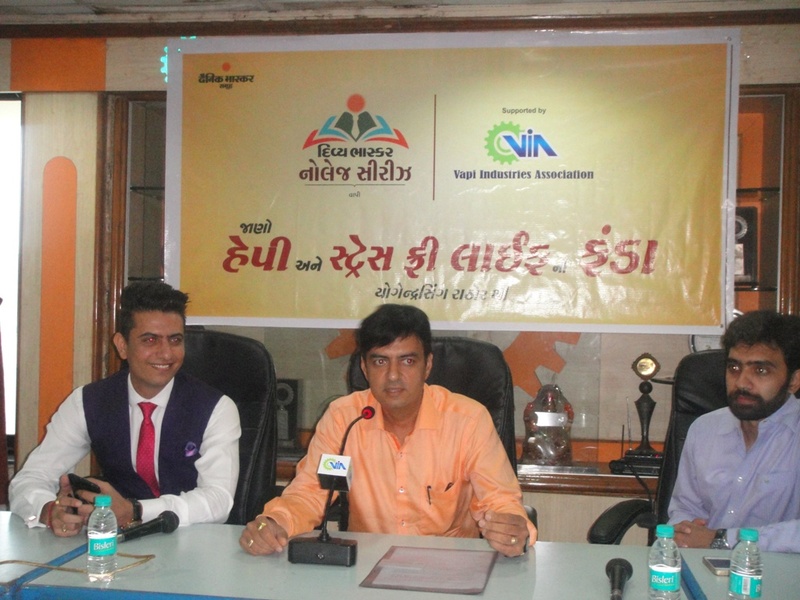 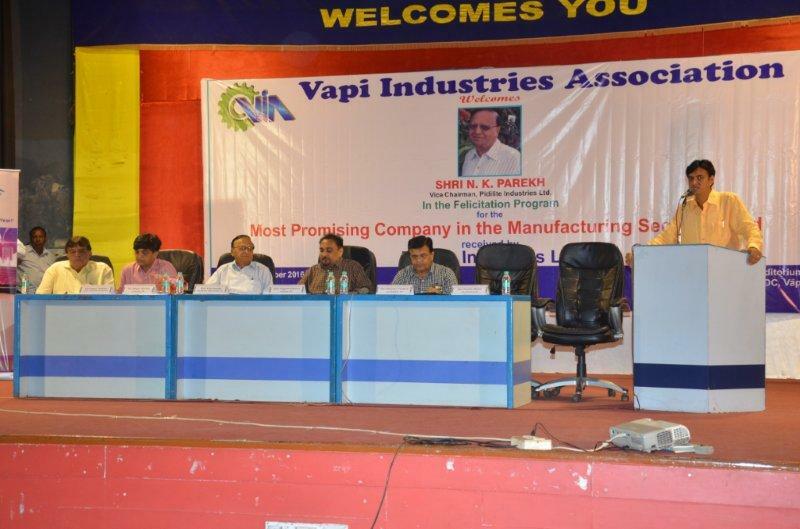 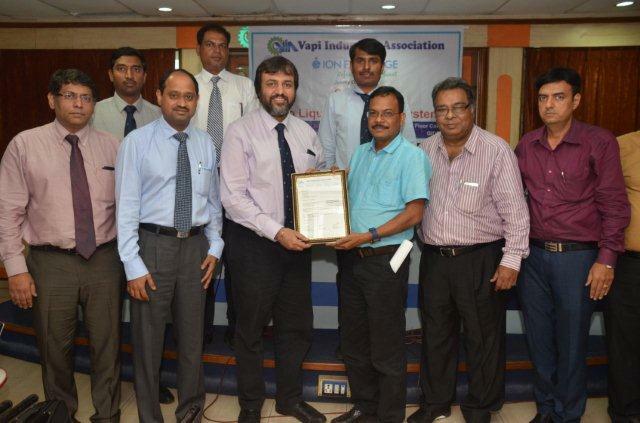 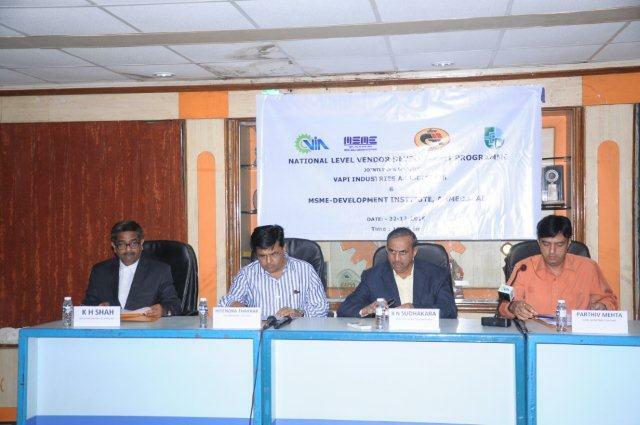 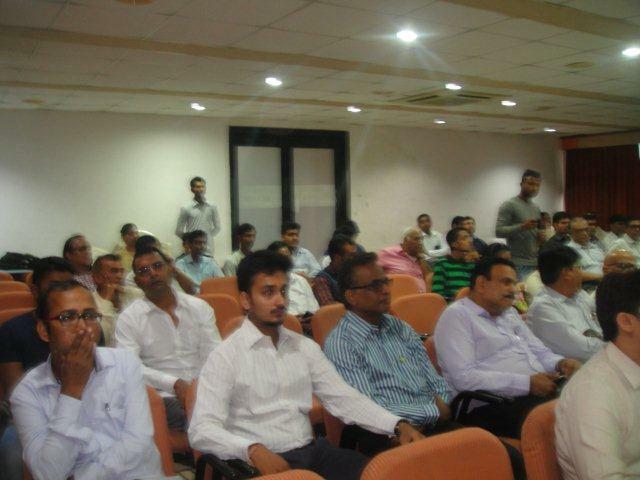 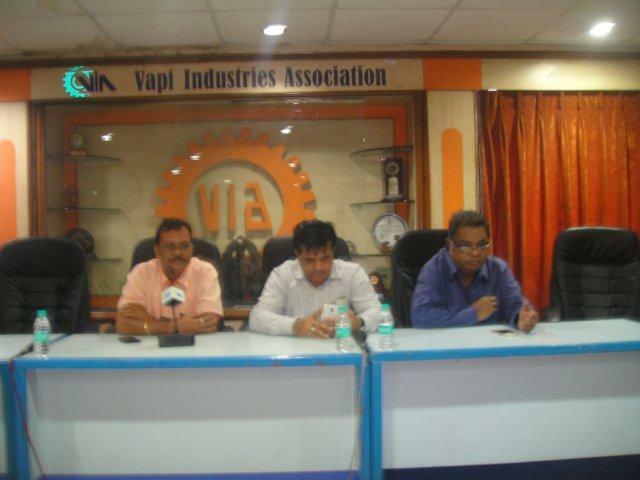 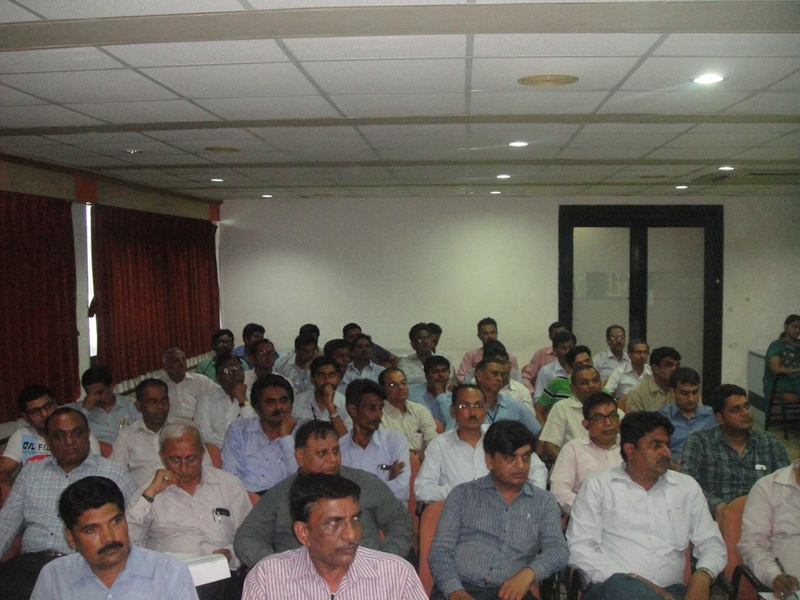 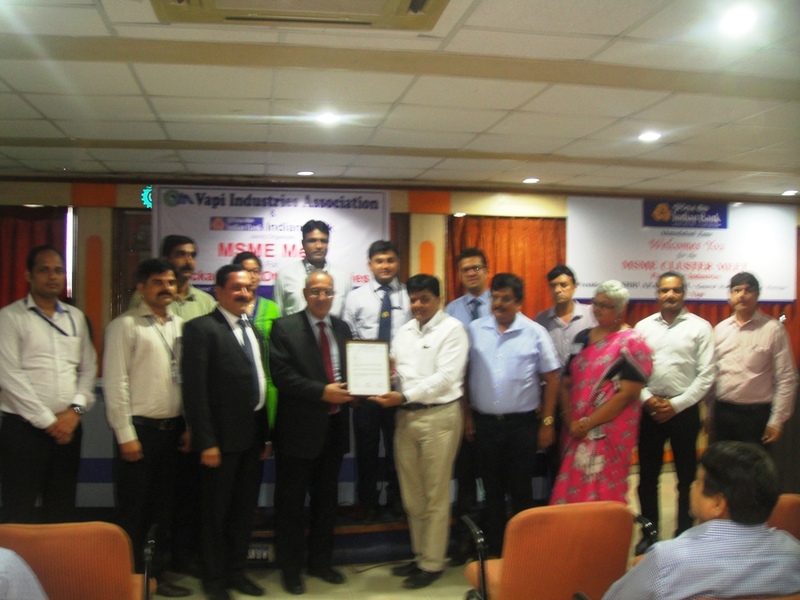 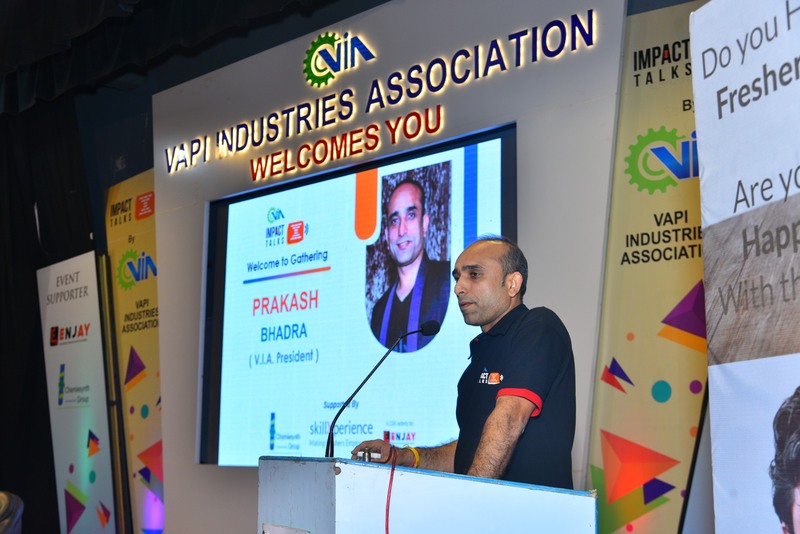 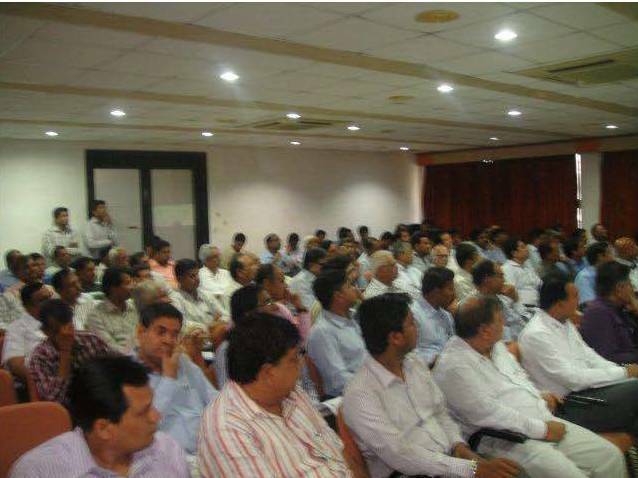 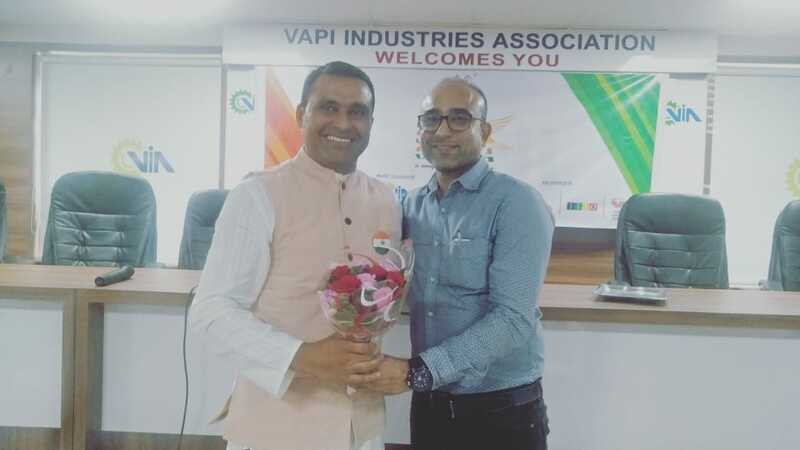 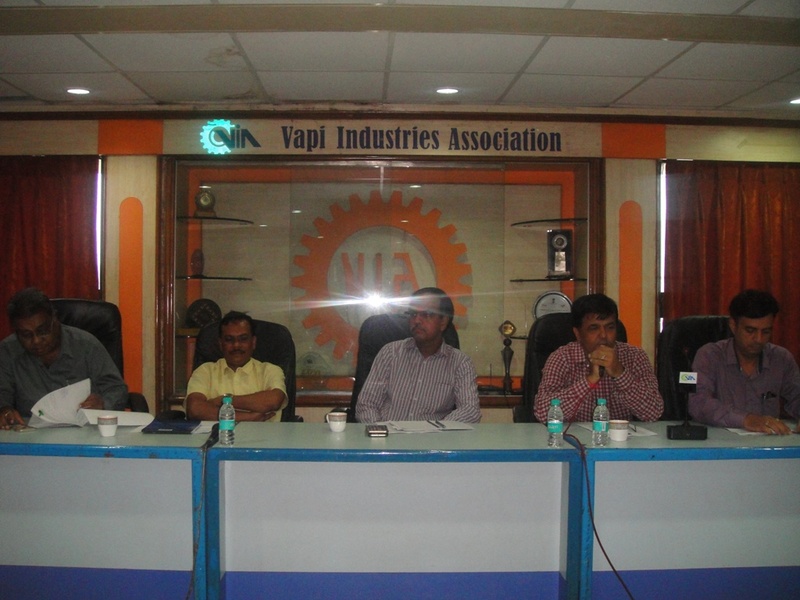 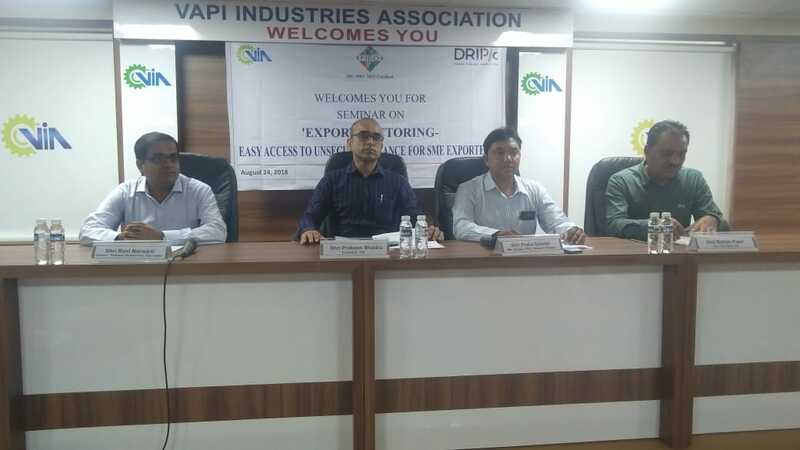 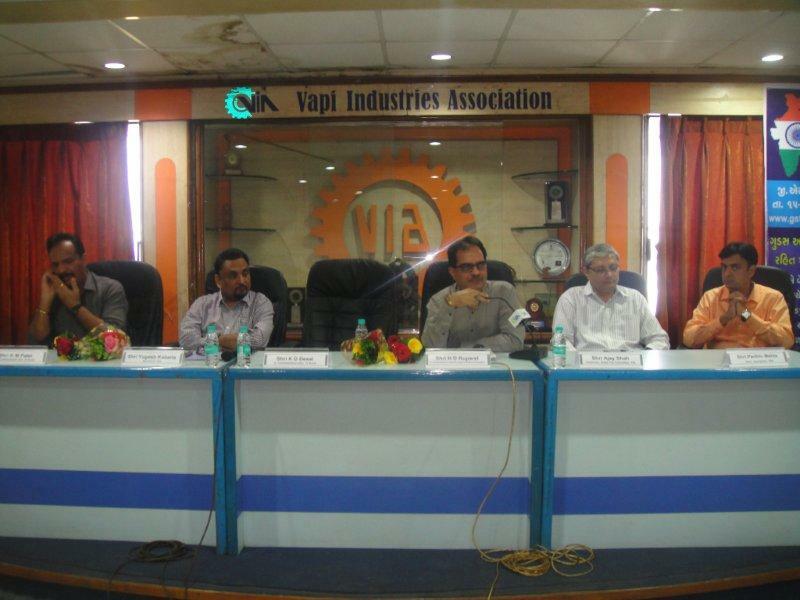 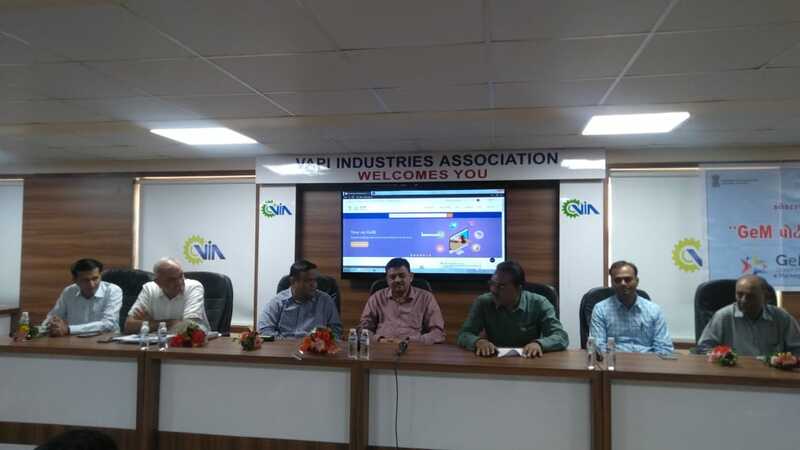 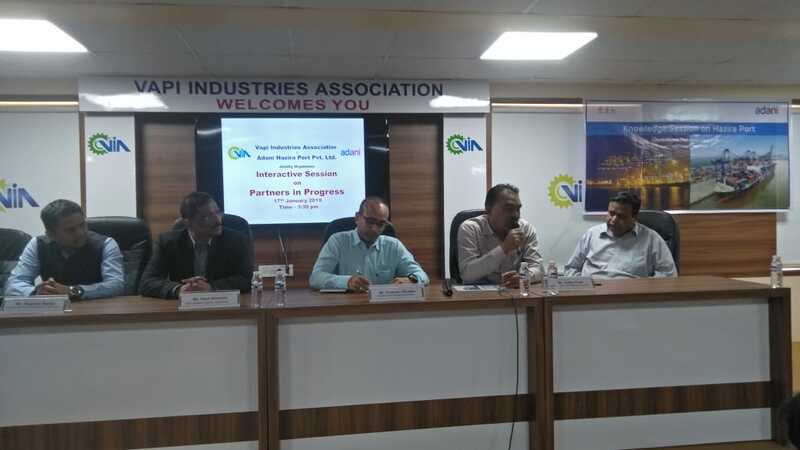 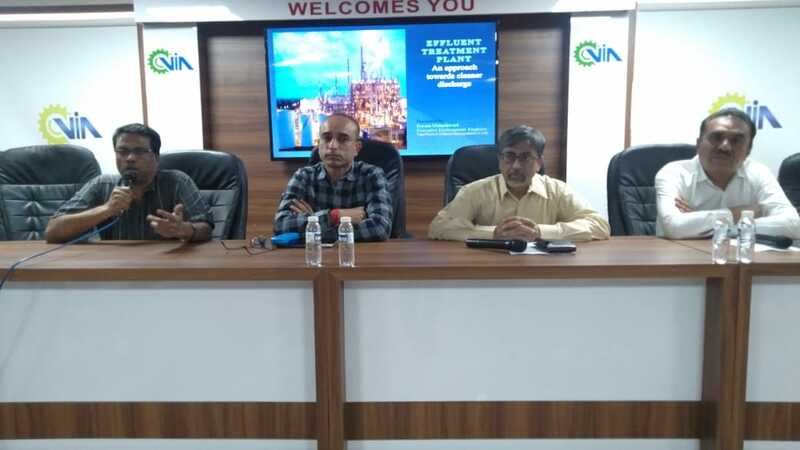 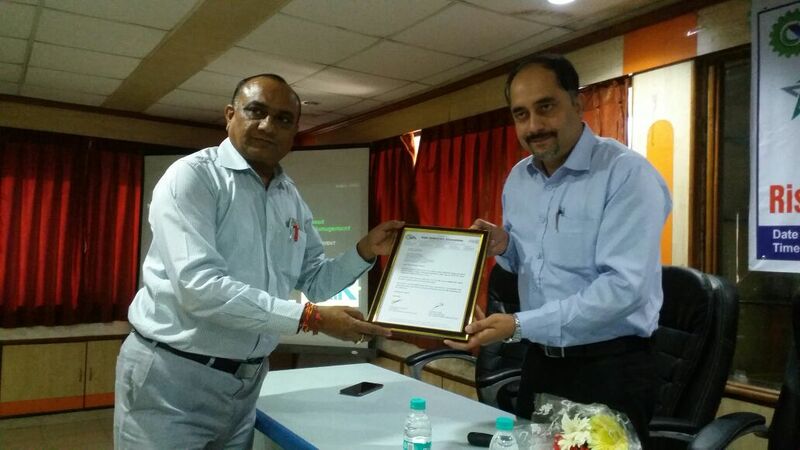 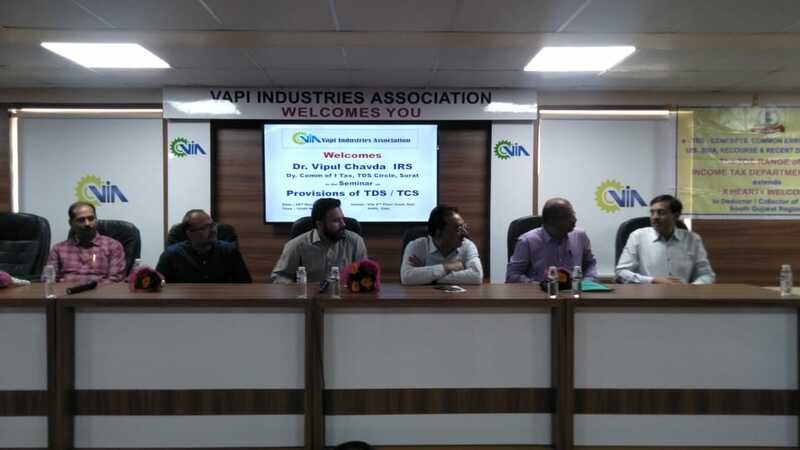 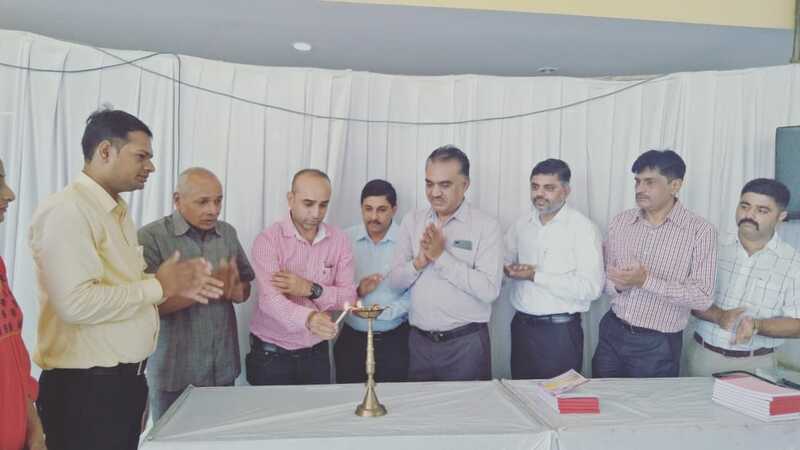 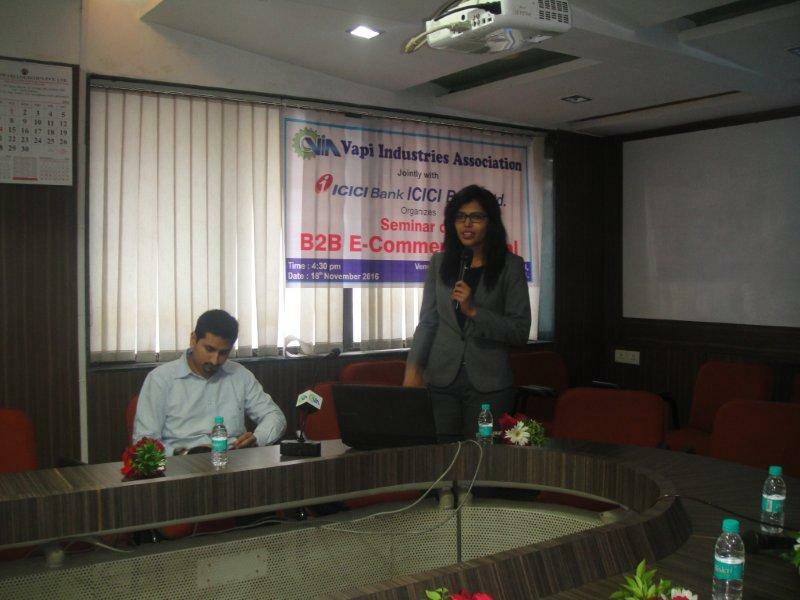 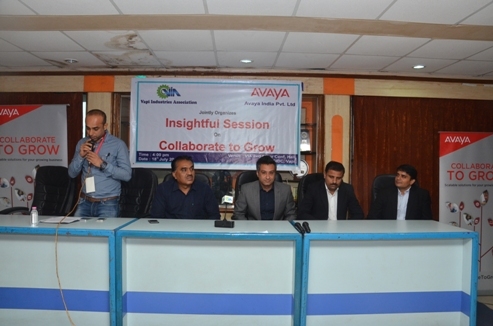 Vapi Industries Association (VIA), CHEMEXCIL, Ahmedabad and Kotak Mahindra Bank Ltd. has jointly organized an Awareness Session on KORA REACH (K-Reach) Regulation & FOREX Risk Management on 11th March 2019 at VIA 2nd Floor Conference Hall. 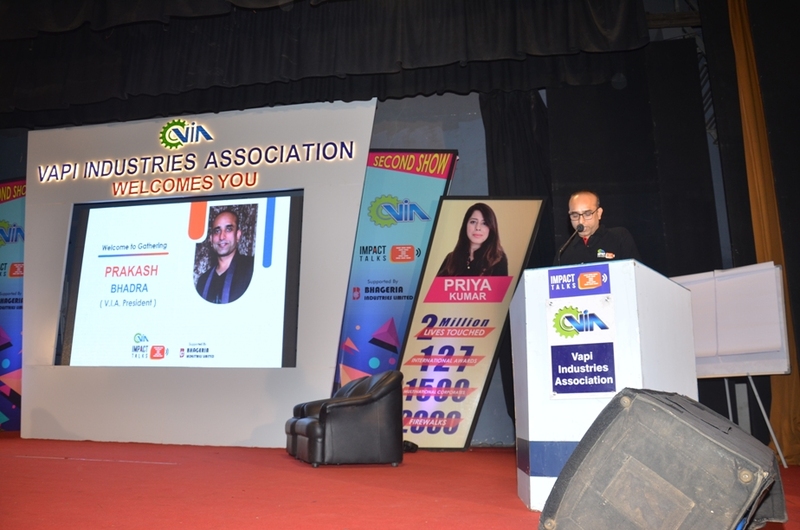 Mr. Gagan Kumar, India Representative, Reach Law and Mr. Rohit Jethra, Executive Vice President, Kotak Mahindra Bank were the Keynote Speaker of the event and they have explained important features of K-Reach Regulations and FOREX Risk Management respectively. 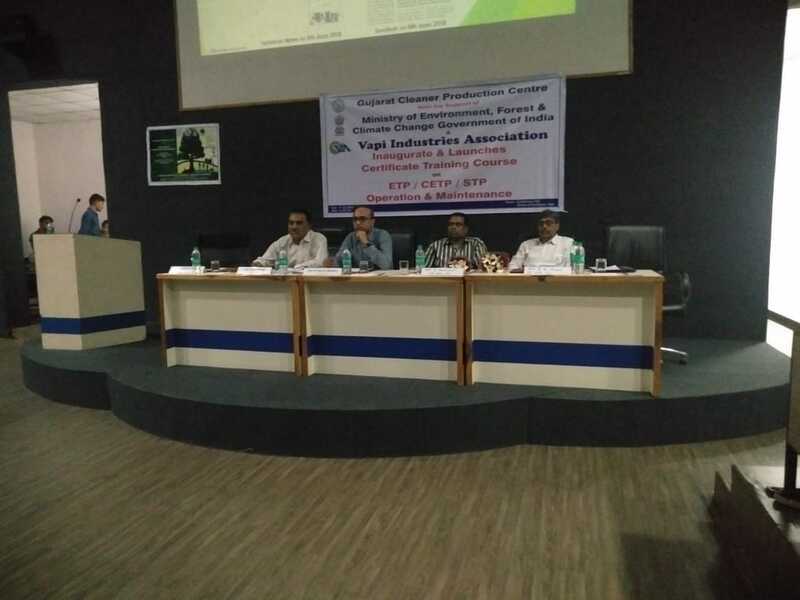 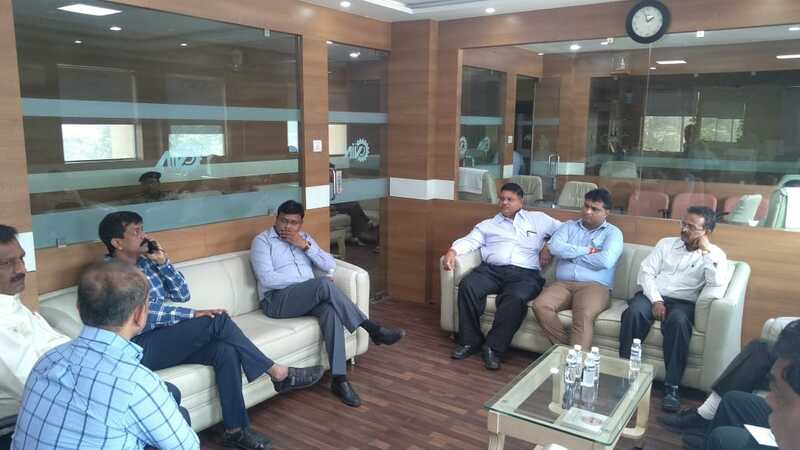 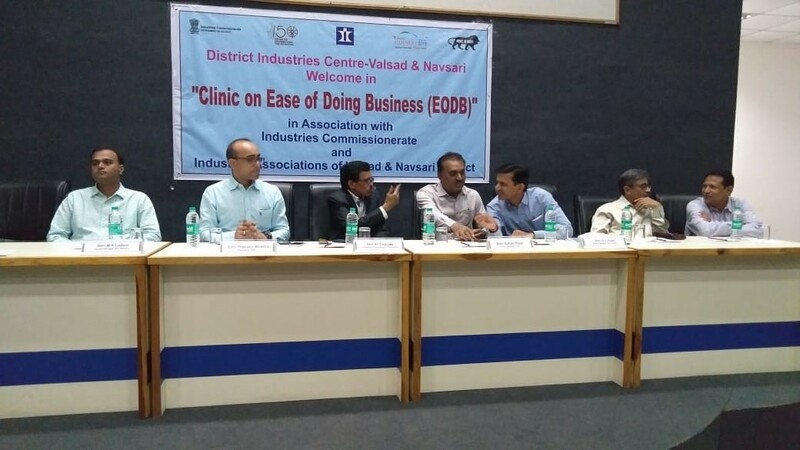 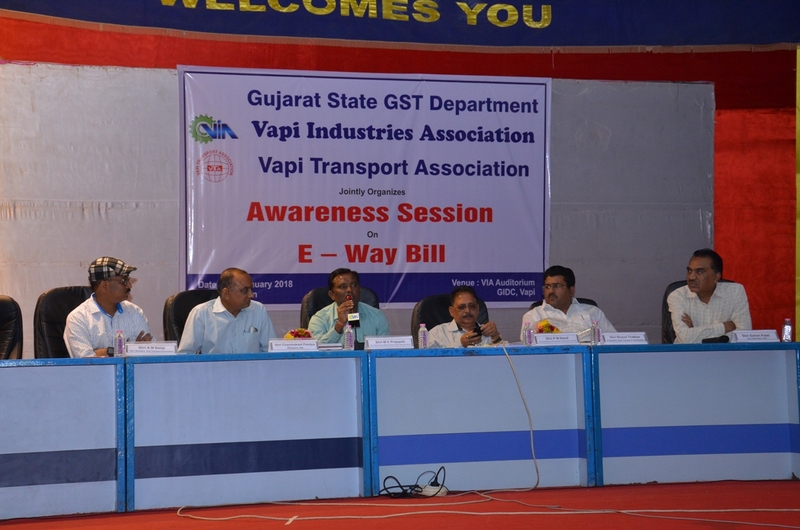 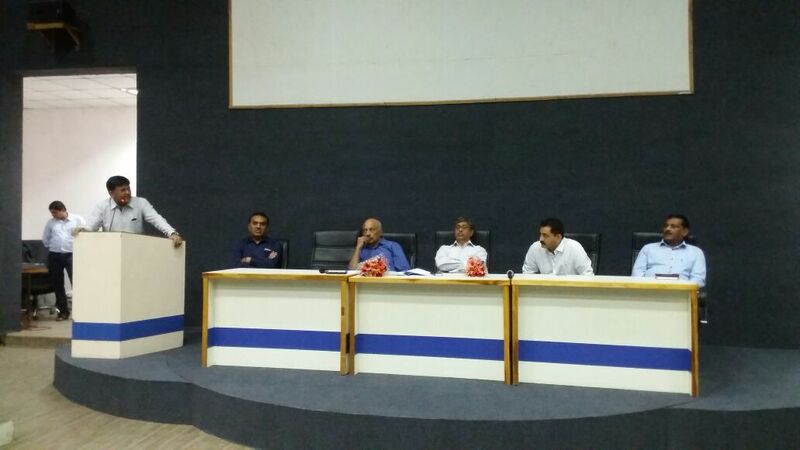 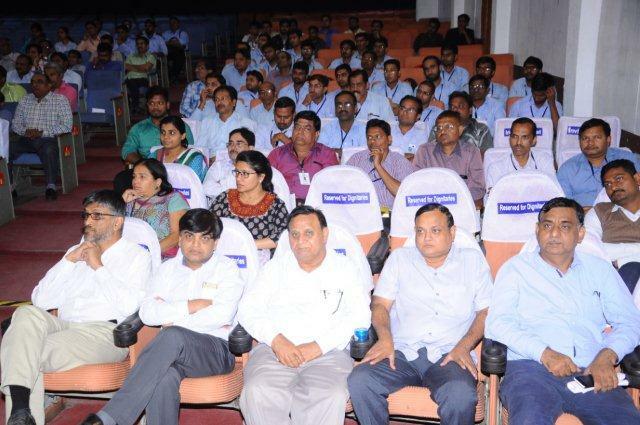 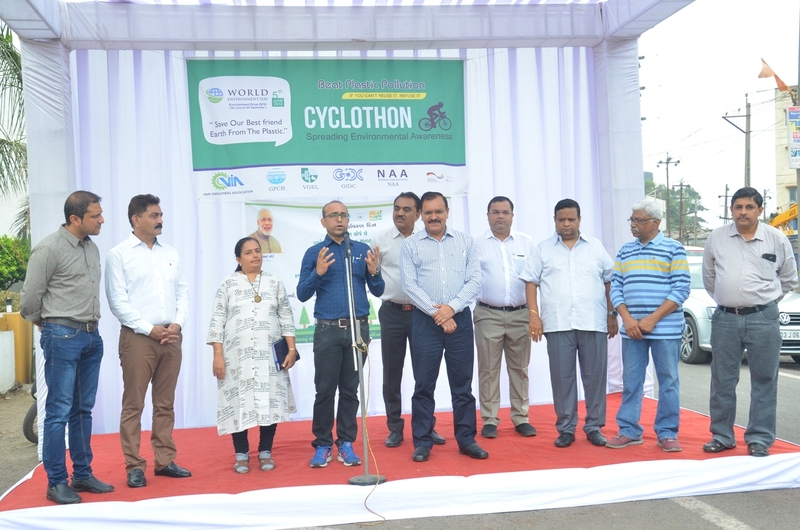 The Awareness Session was held in presence of Mr. Dharmendra Joshi, Regional Director, CHEMEXCIL, Ahmedabad, Mr. Keval Jambudia, VP, Treasury FX & Derivatives, Mr. Meherzad Turel, VP, Sales, Mr. Vikas Electricwala, VP, RL Area Head’s Office, Mr. Sarath Menon, Chief Manager, Product Sales – Trade & Foreign Exchange (South & Central Gujarat), Mr. Akash Damani, Manager – marketing HO, Mr. Satish Patel, Hon. 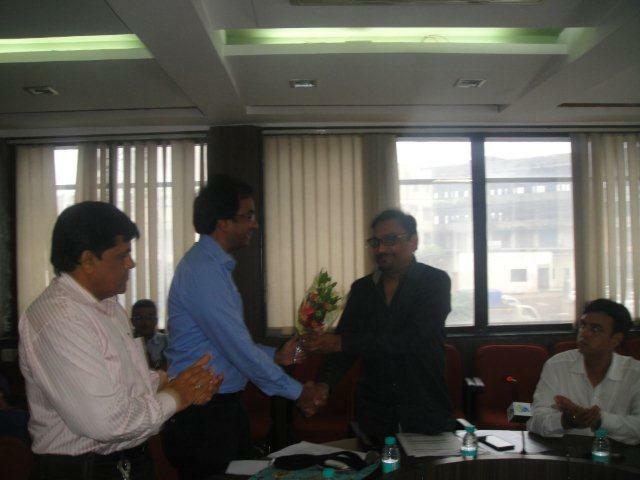 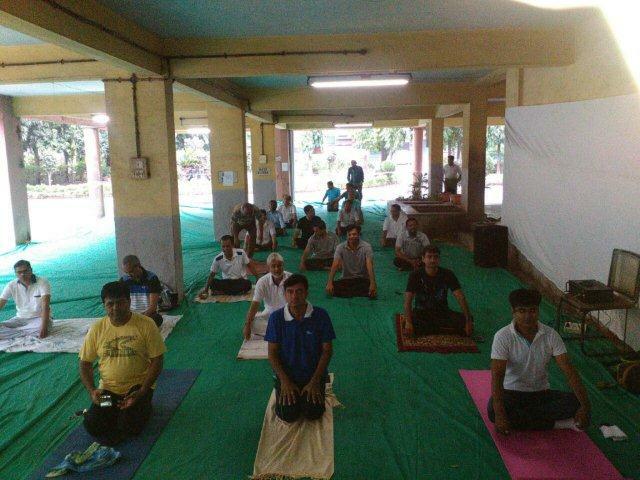 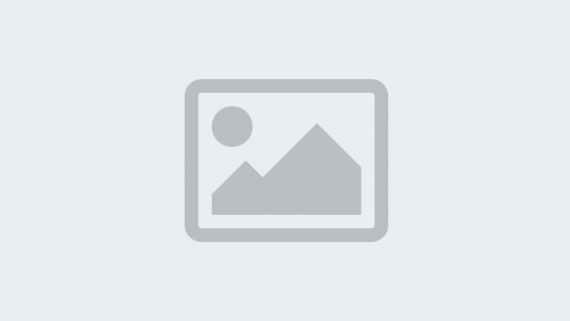 Secretary, VIA, Mr. Hemang Naik, Jt. 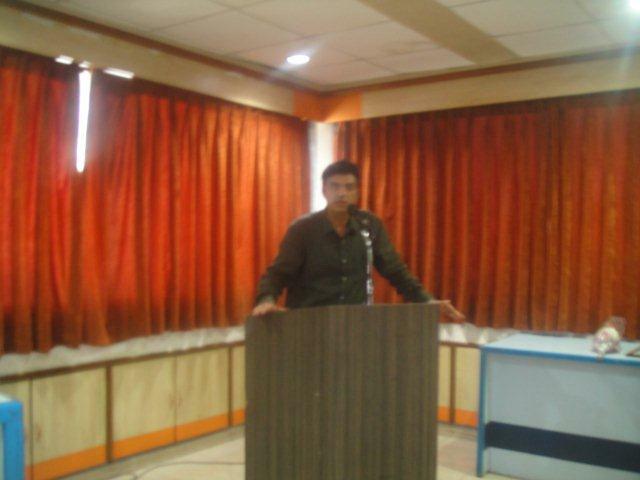 Secretary, VIA. 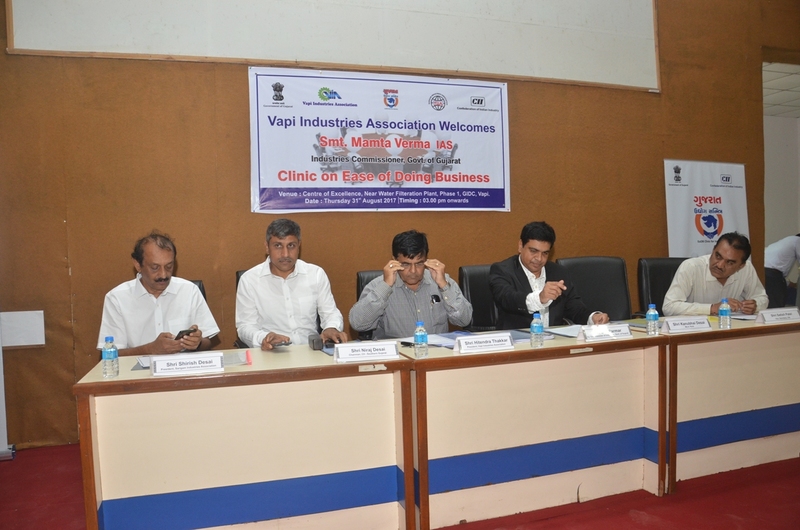 The event was well attended by over 50 Industries & Trade Members. 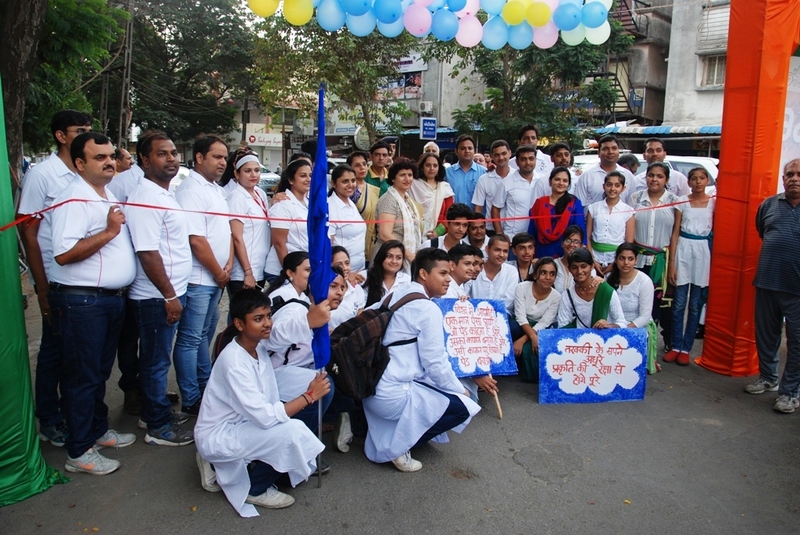 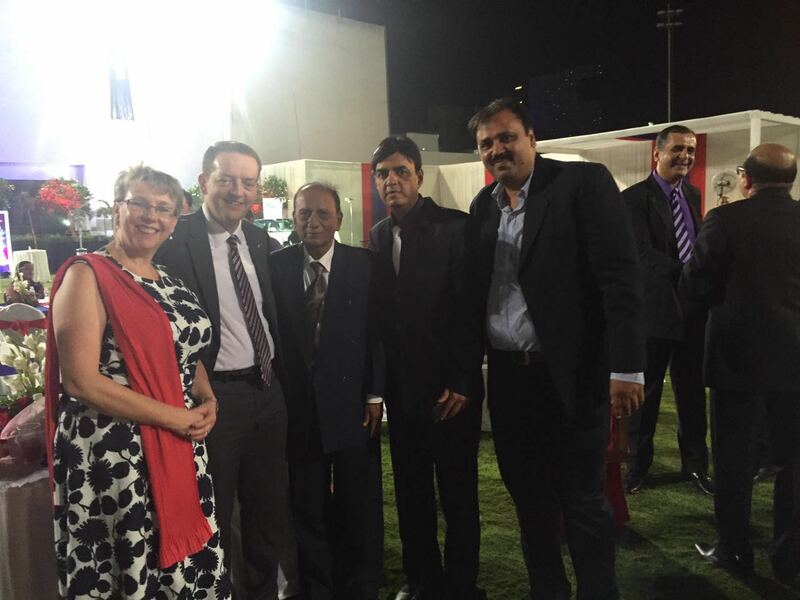 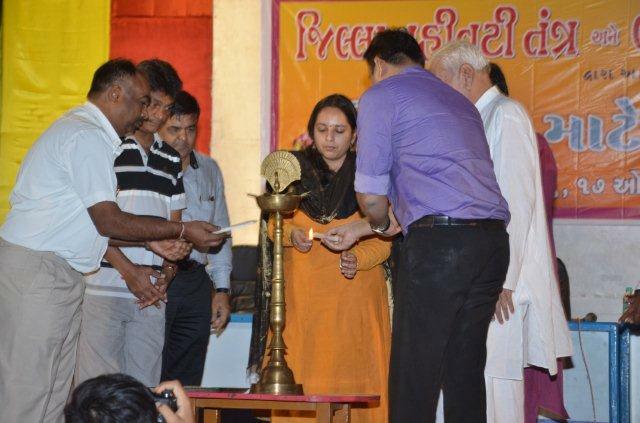 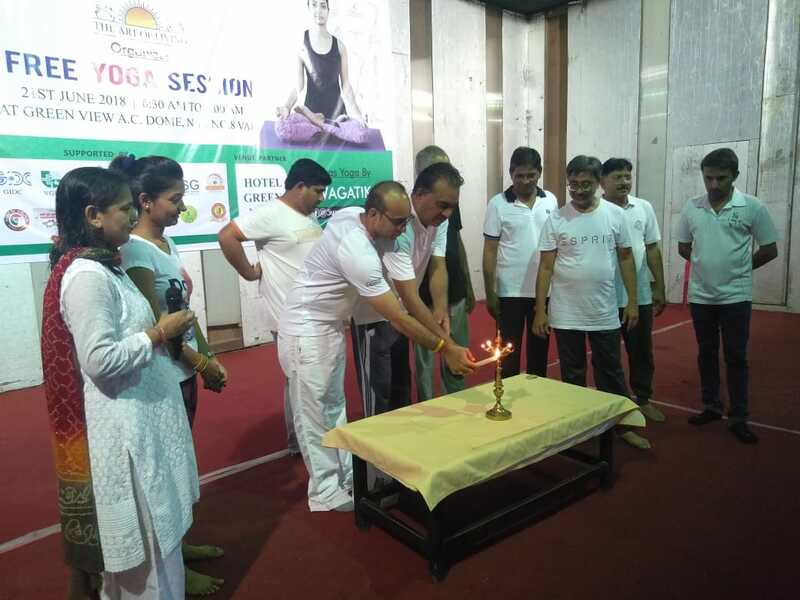 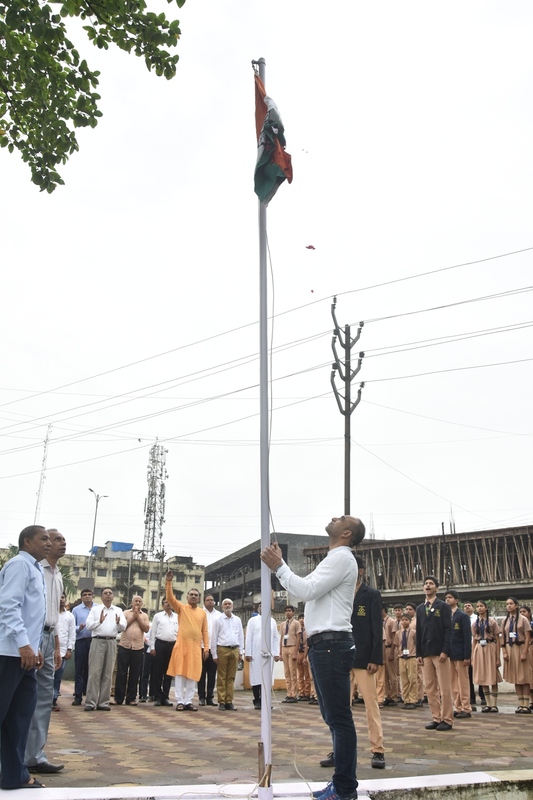 The Independence Day was celebrated at VIA as done every year. 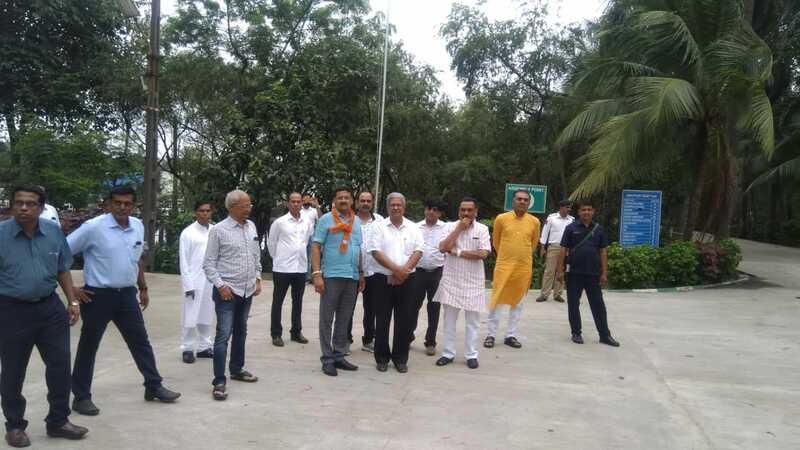 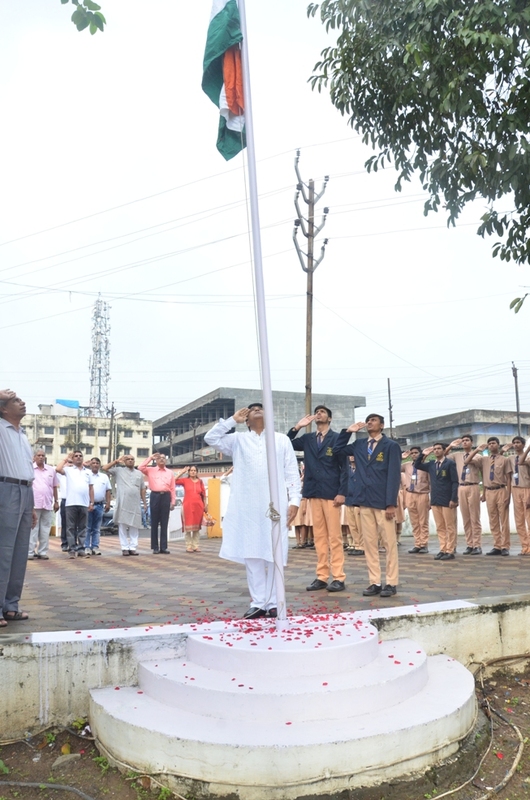 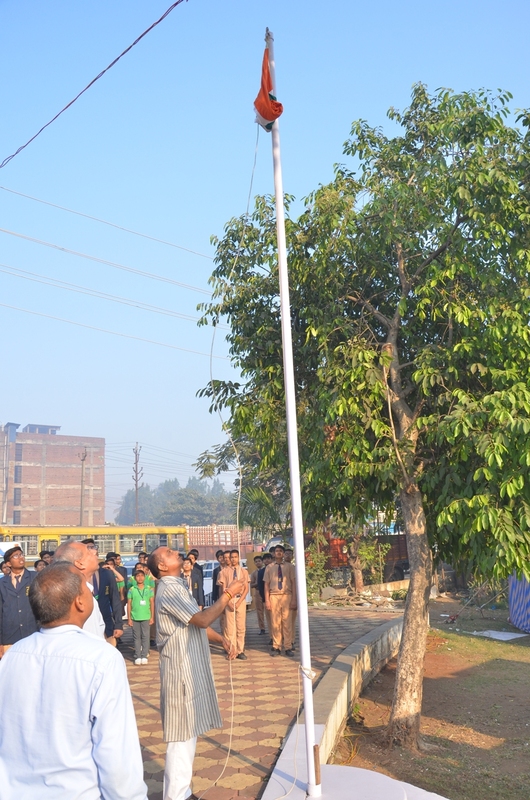 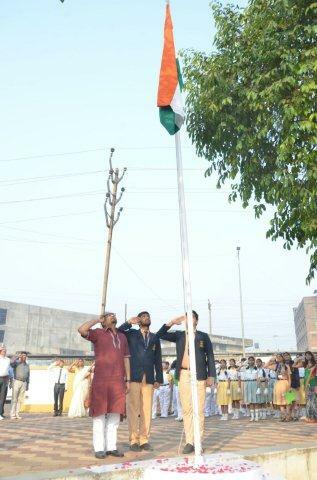 Shri Prakash Bhadra, President, VIA did the Flag Hoisting at 9:00 am at VIA Ground in presence of Shri Sunil Agarwal, Vice President, VIA, Shri Satishbhai Patel, Hon. 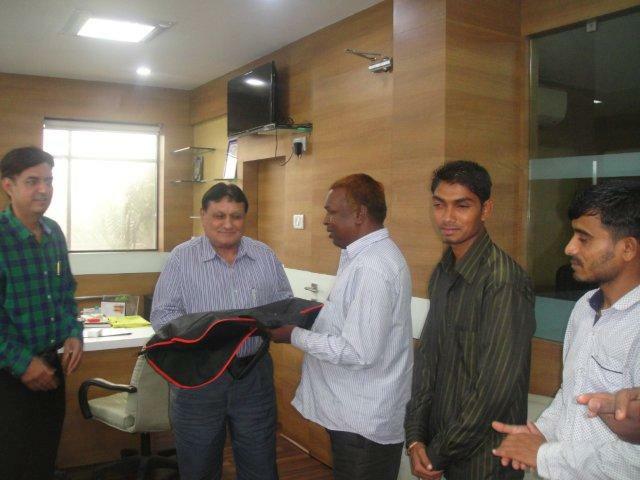 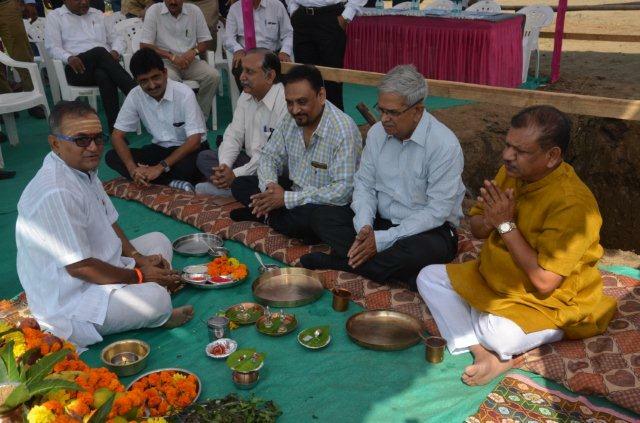 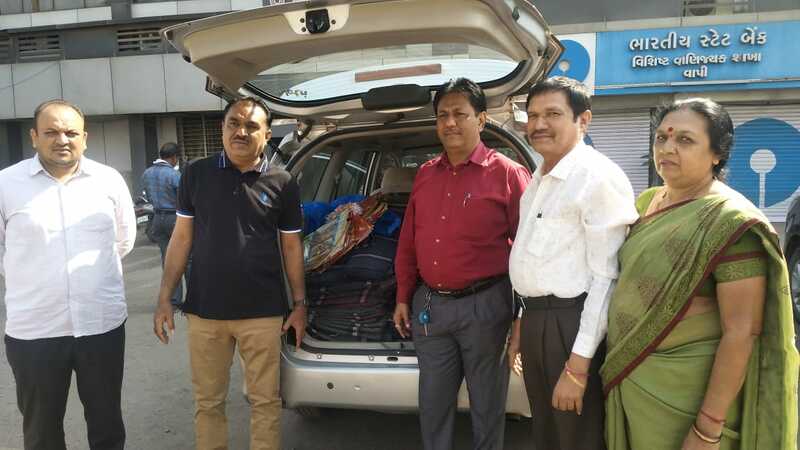 Secretary, VIA, Shri Munna Shah, Treasurer, VIA, Shri Hemangbhai Naik, Jt. 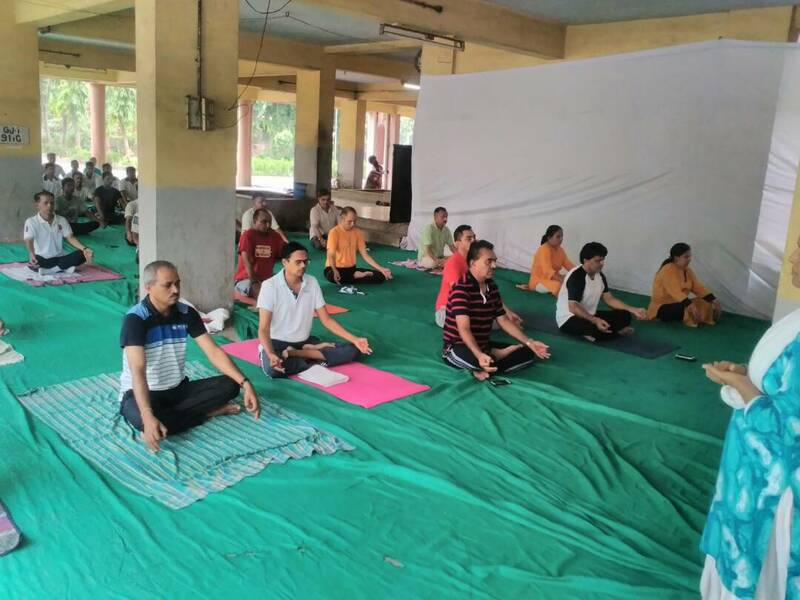 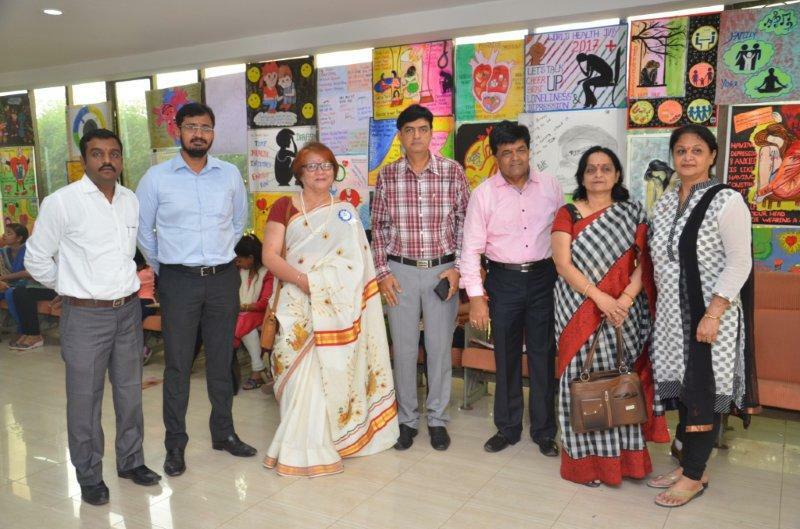 Secretary, VIA, Past Presidents & Executive Committee Members & Members of VIA and Students & Teachers of St. Xavier's High School of Vapi. 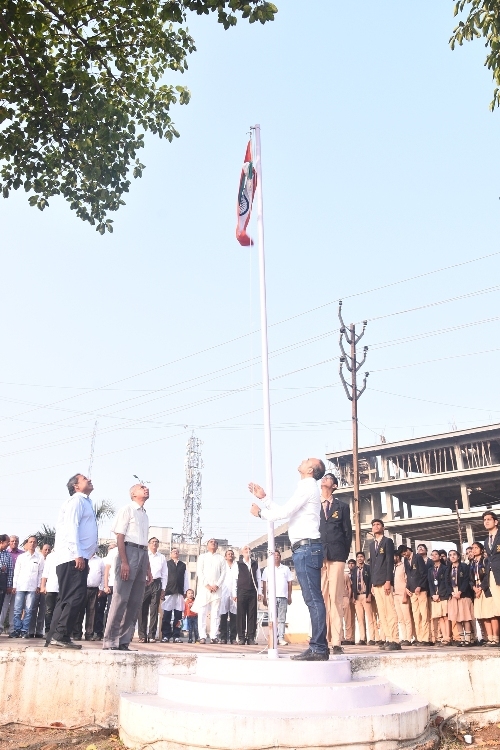 After the Flag Hoisting the present members and students gave respect to the Father of the Nation- Gandhiji. 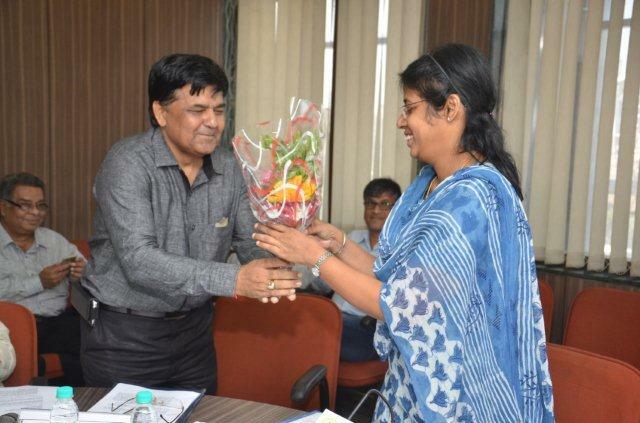 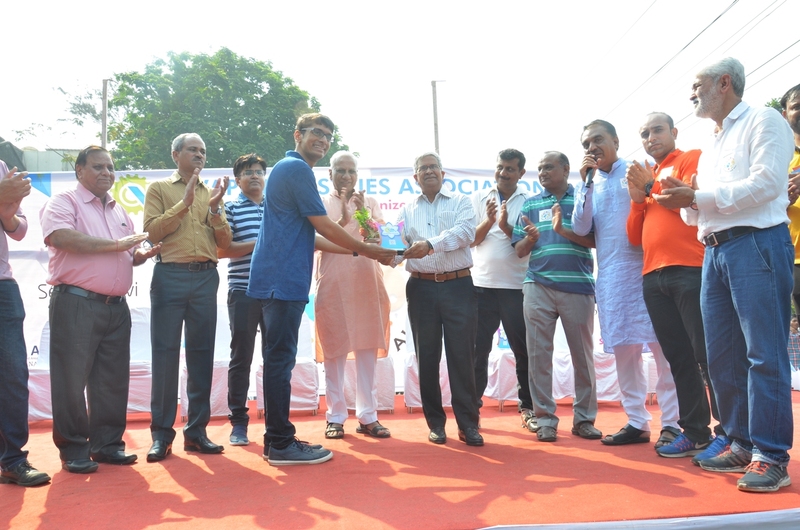 VIA also felicitated the young athlete of Valsad District - Ms. Tejal Bhoya and the Blind Football Team of Valsad by handing over running shoes and football boot respectively. 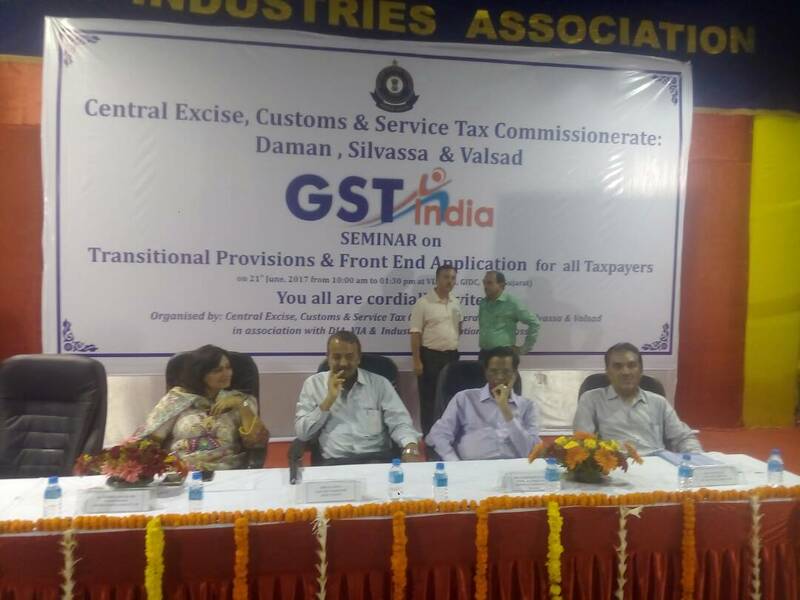 A Seminar on GST was organized jointly with Central Excise Department on 21st June 2017 at VIA Auditorium to create awareness on GST an its procedure. 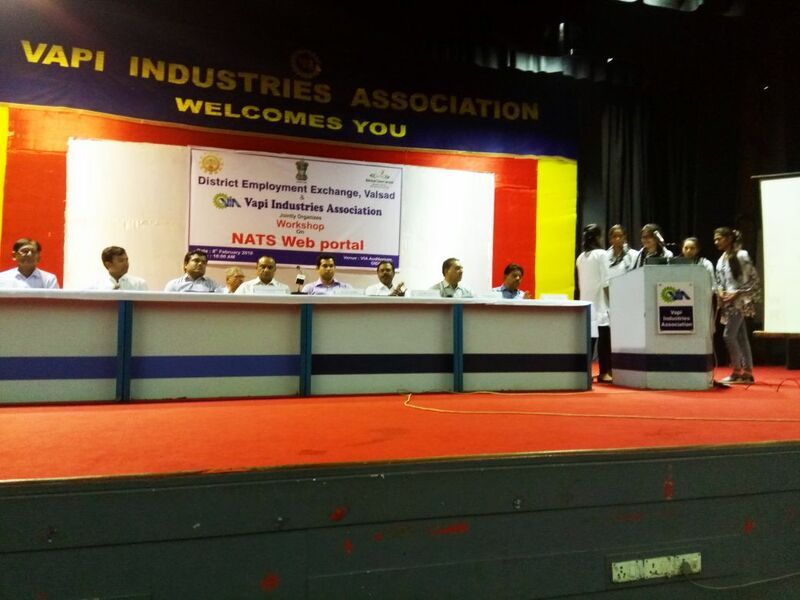 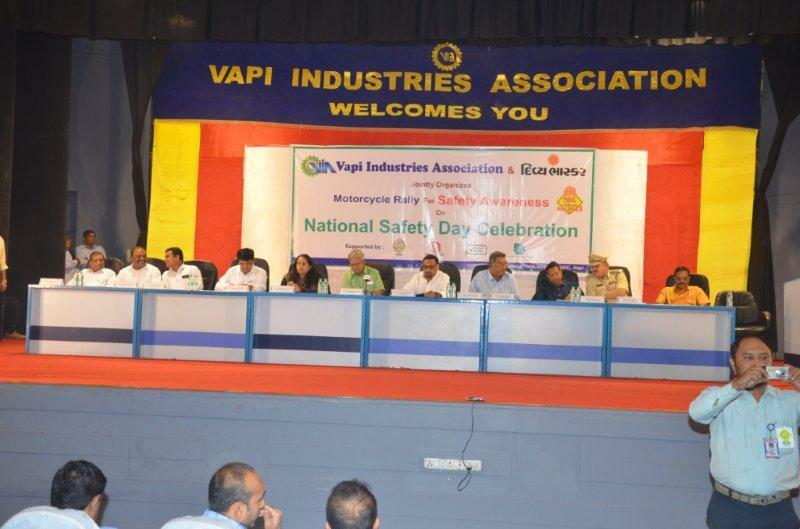 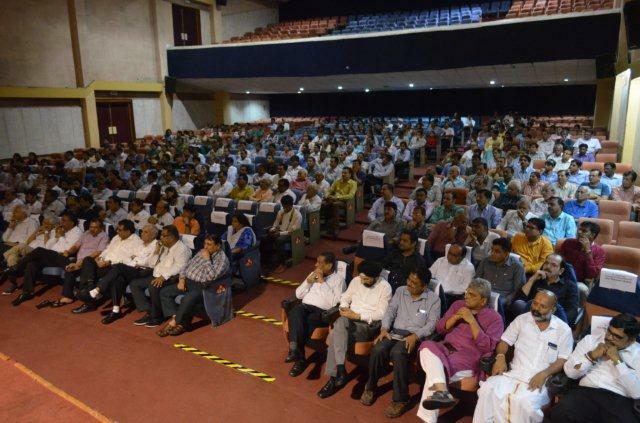 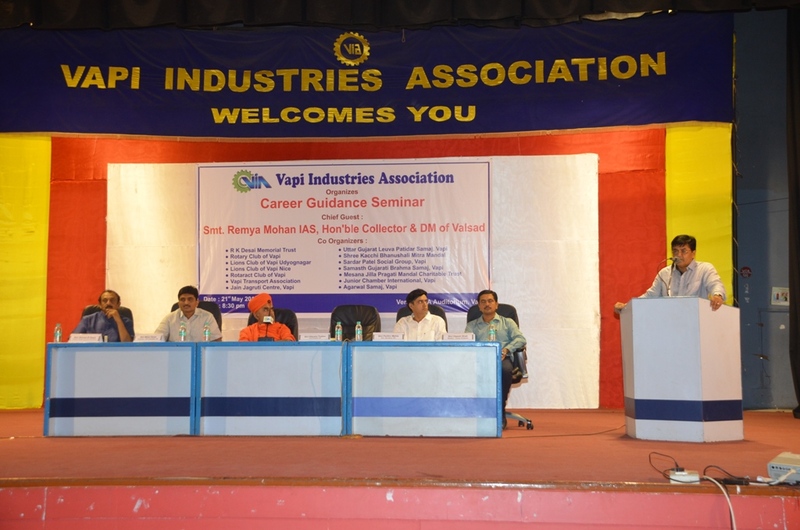 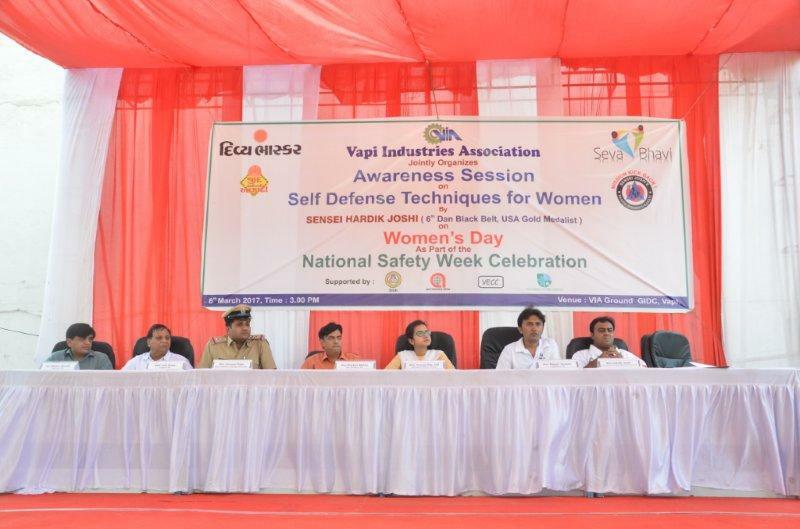 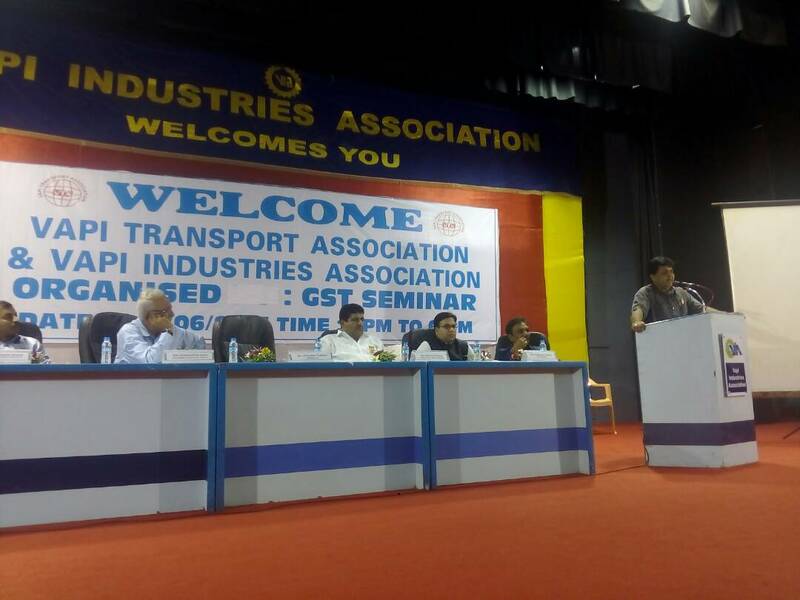 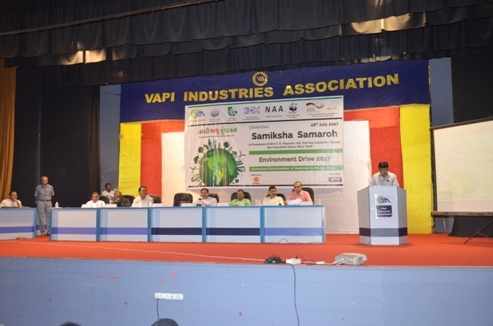 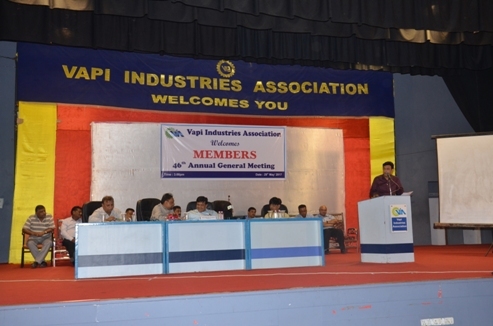 The program was well attended by over 1000 industries members. 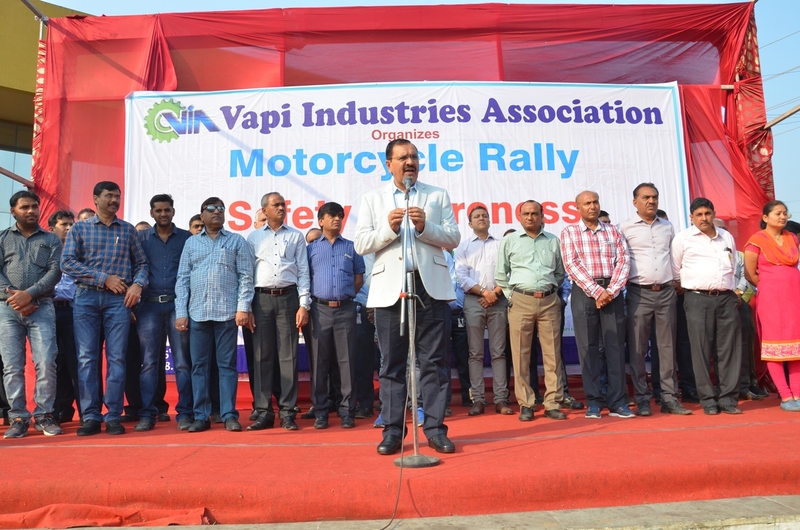 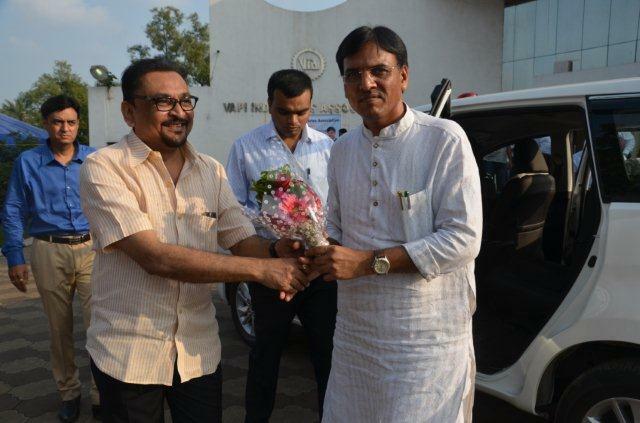 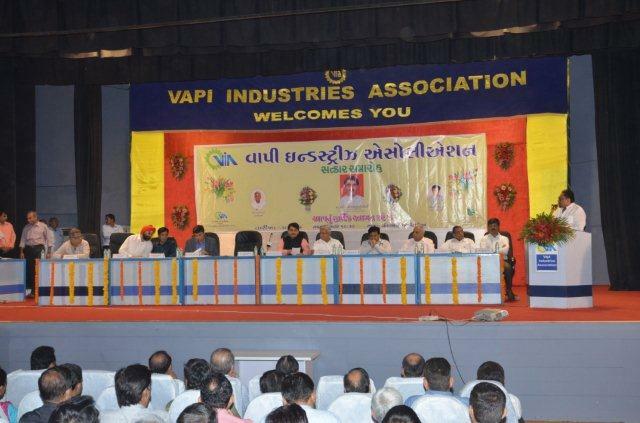 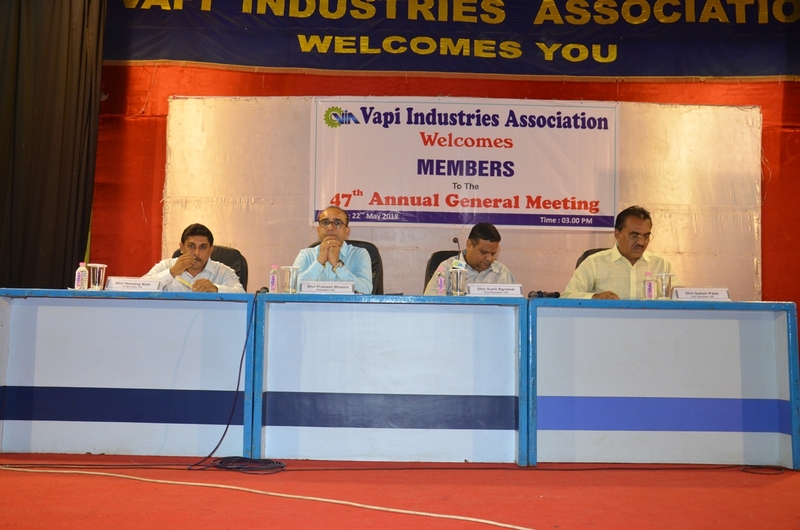 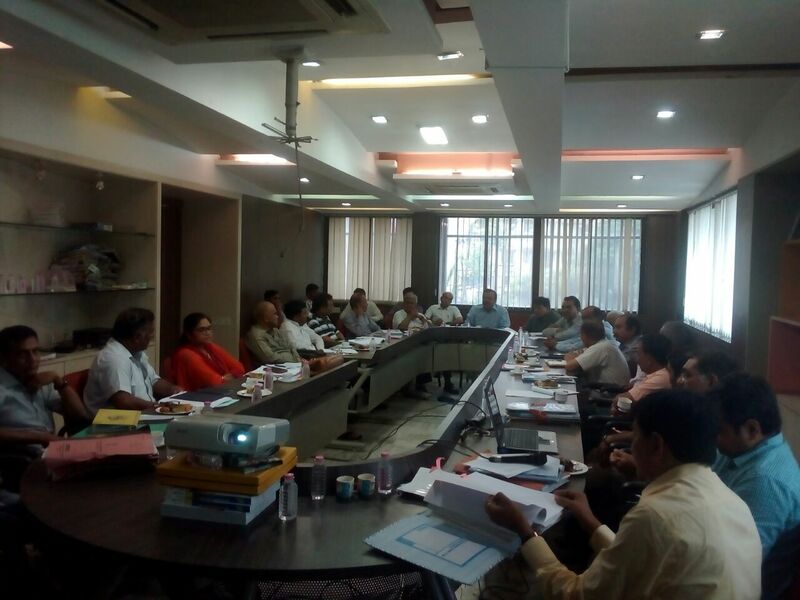 Members of Public Accounts Committee of Gujarat consisting of MLAs made a visit to Vapi Industrial Estate on 15th June 2017 to understand the issues and challenges faced by the Industries Members and residents of this estate. 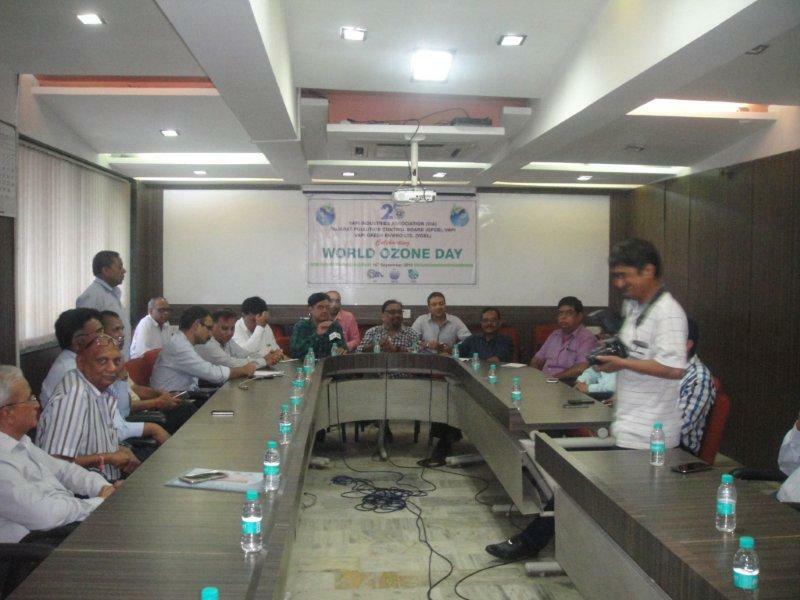 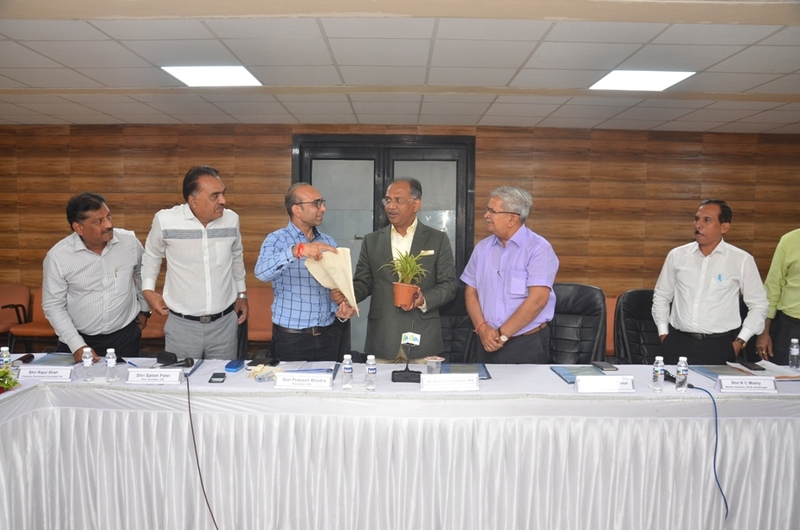 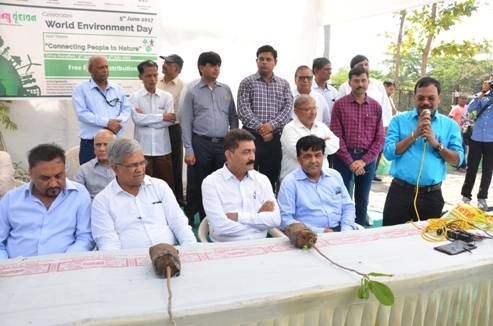 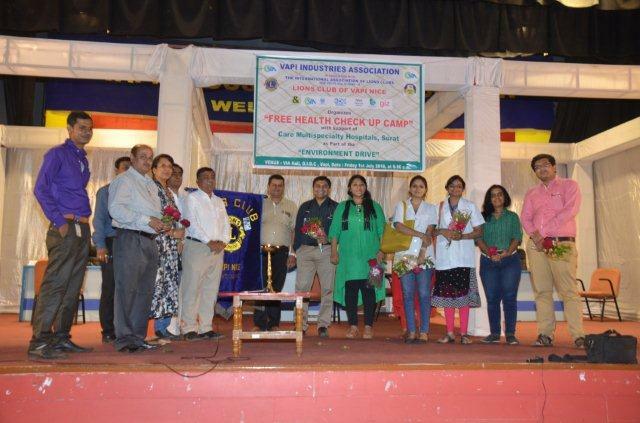 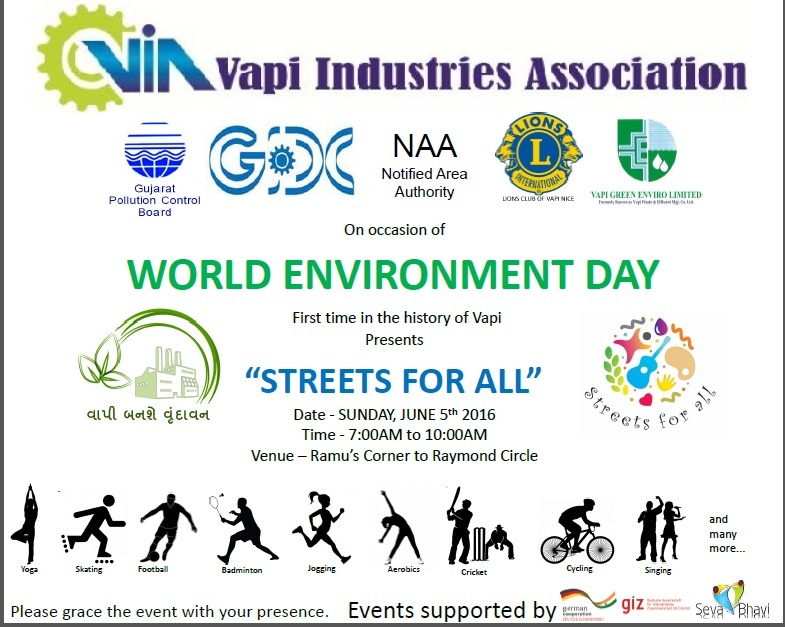 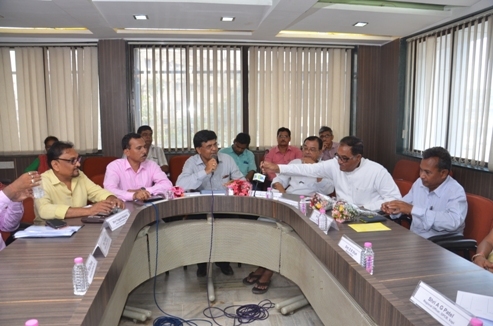 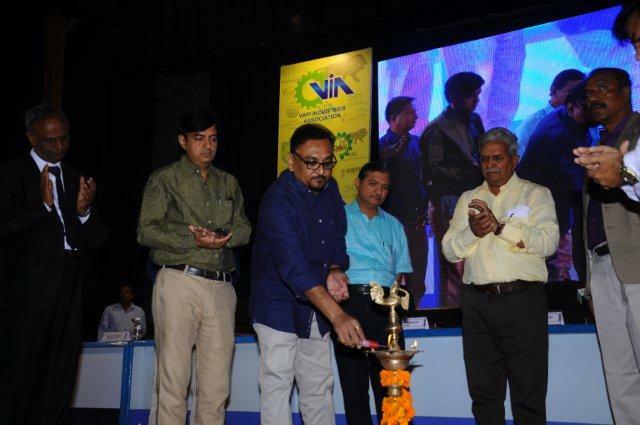 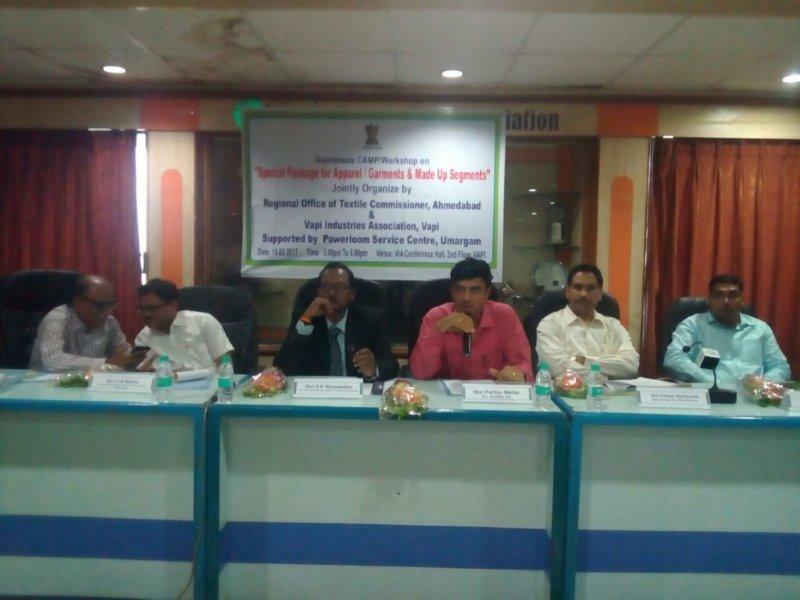 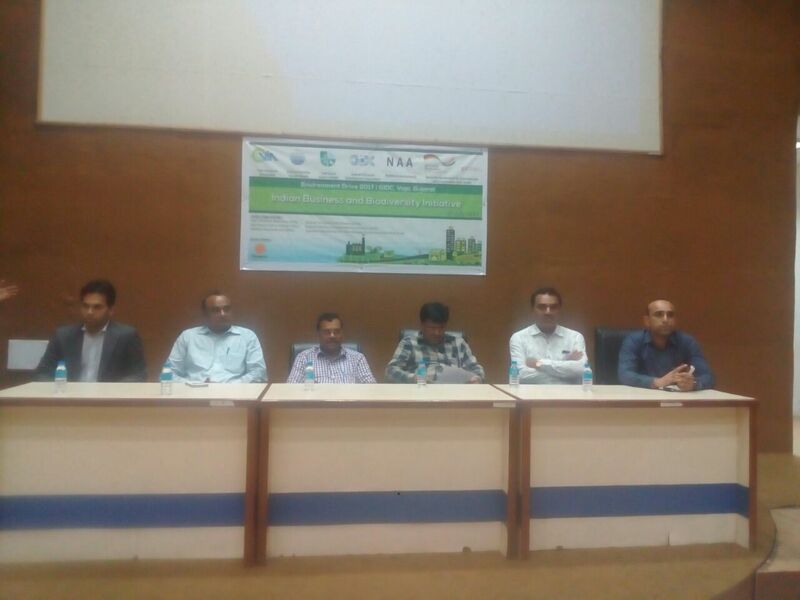 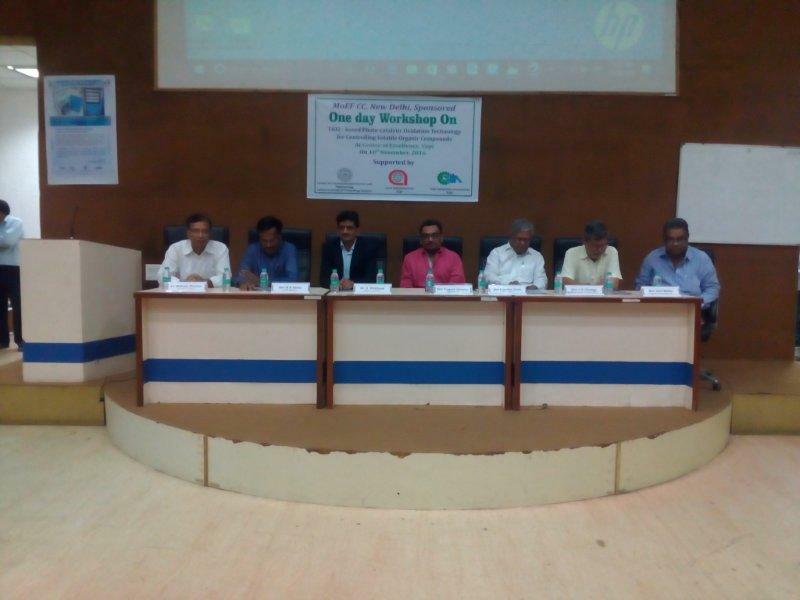 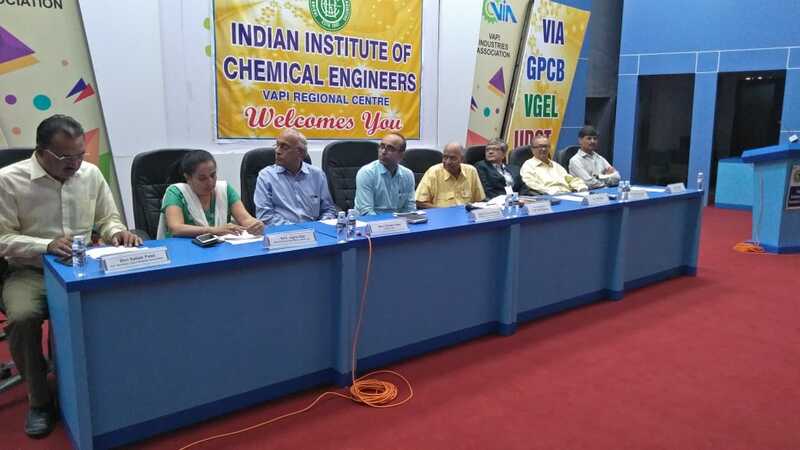 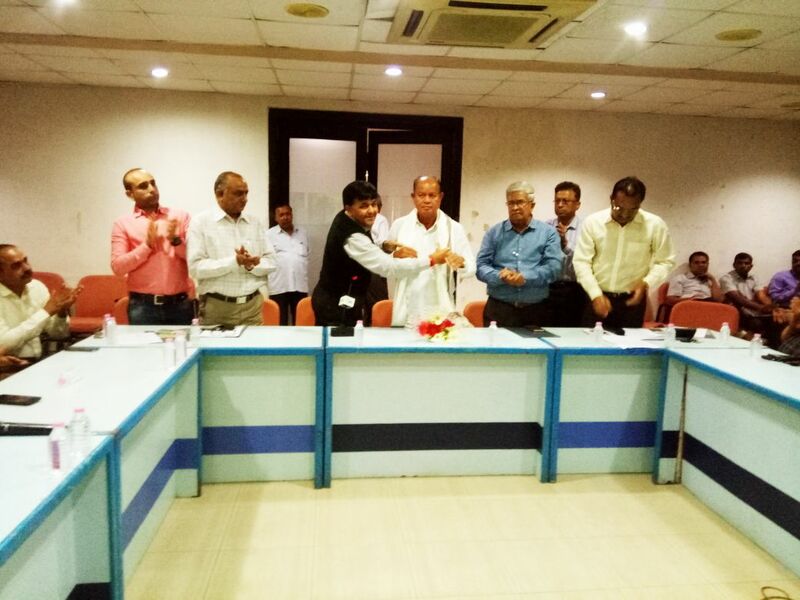 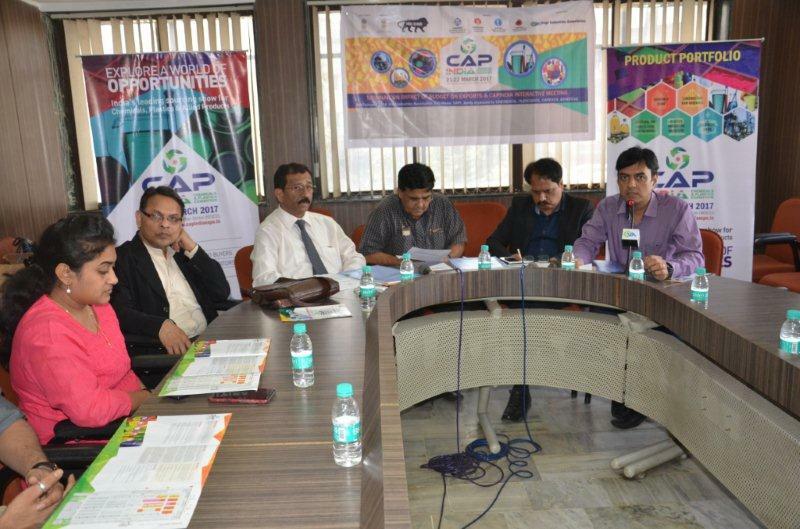 Environment Clinic Program was organized by VIA and GPCB on 13.05.2016 at 03:00pm at VIA 2nd Floor Conf Hall wherein GPCB RO Shri A G Patel , VIA Office Bearers Shri Parthiv Mehta, Hon Sec, Shri Lalit Arora, Treasurer, Shri Magan Savalia, Jt Sec, Shri Kirit Mehta, Shri Kamlesh Patel, Shri Kirit Shastri, Shri Chandubhai Pandya, committee members and 120 various industry members were present. 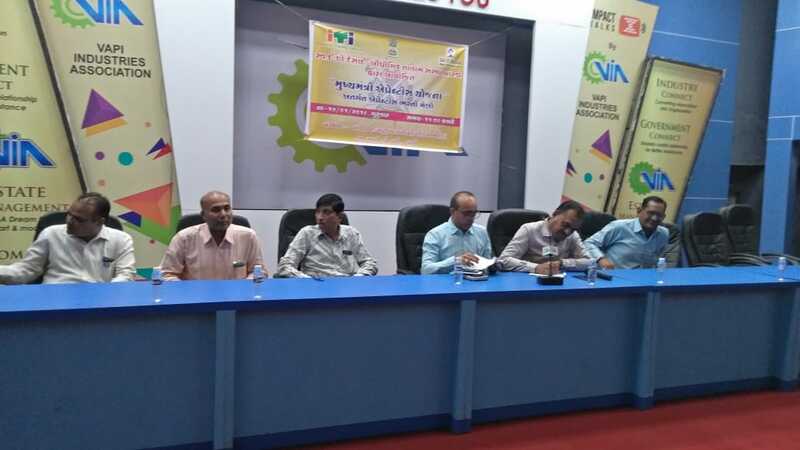 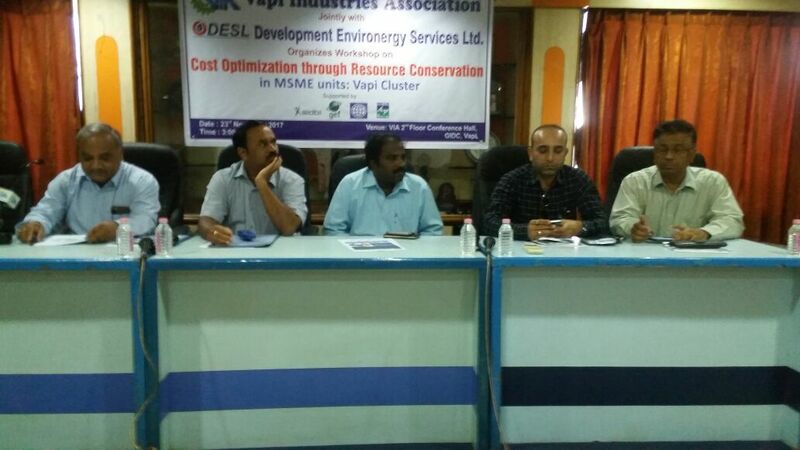 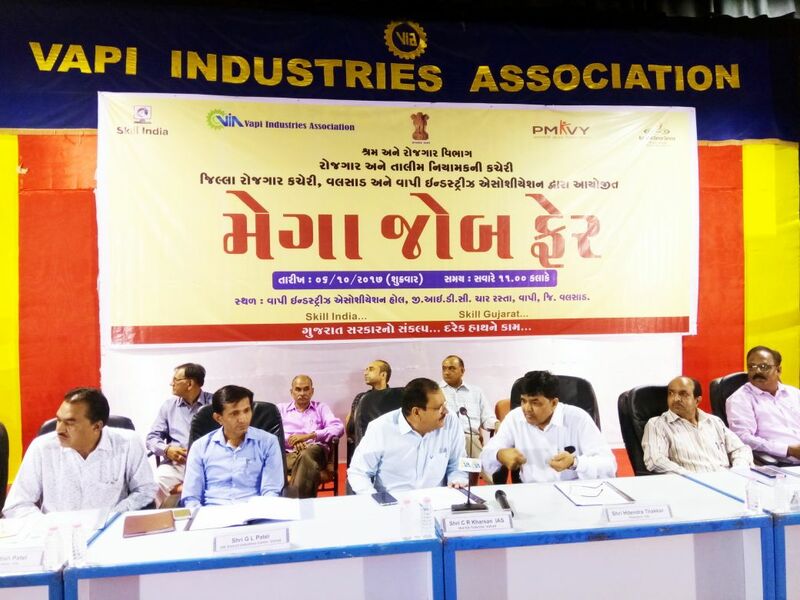 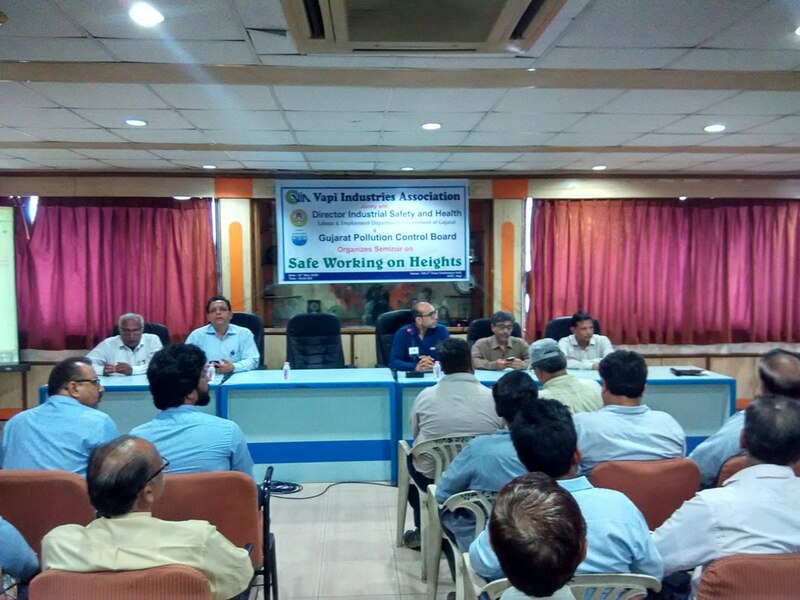 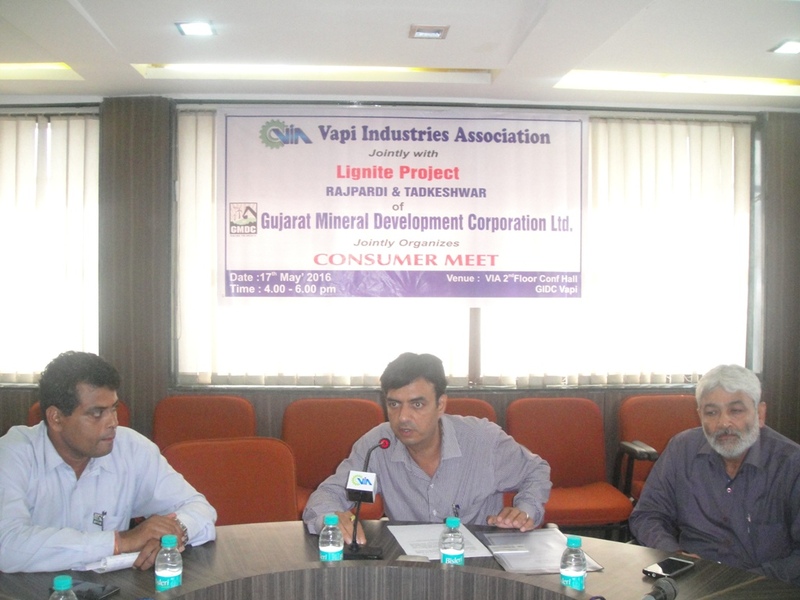 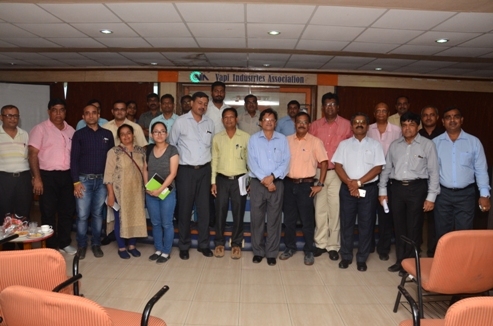 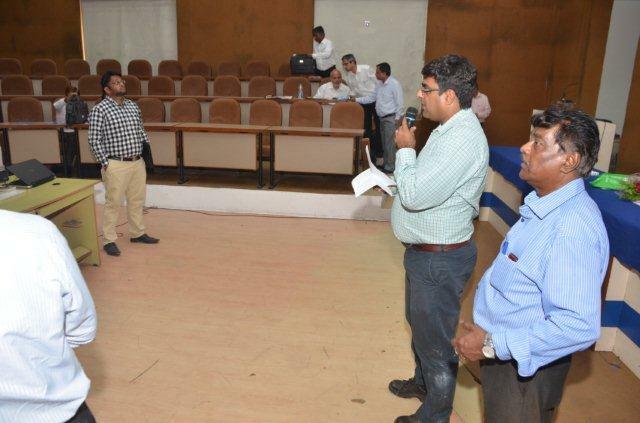 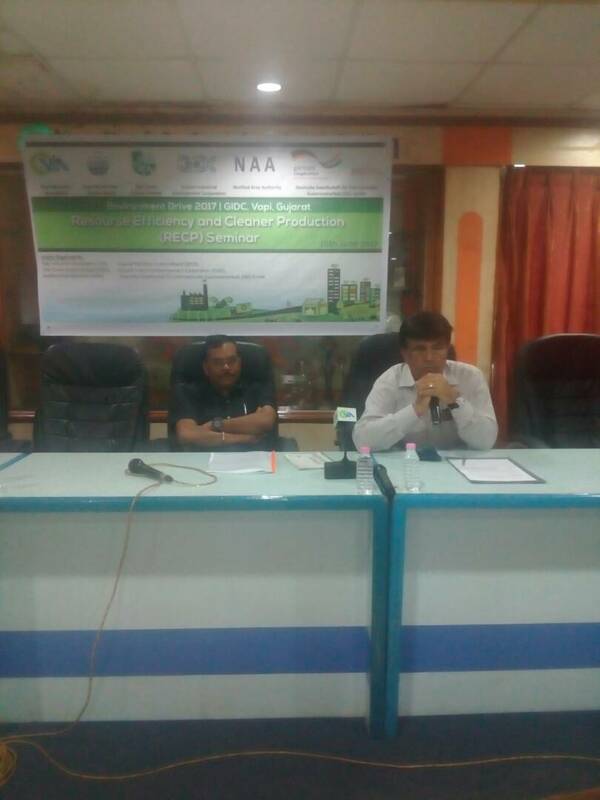 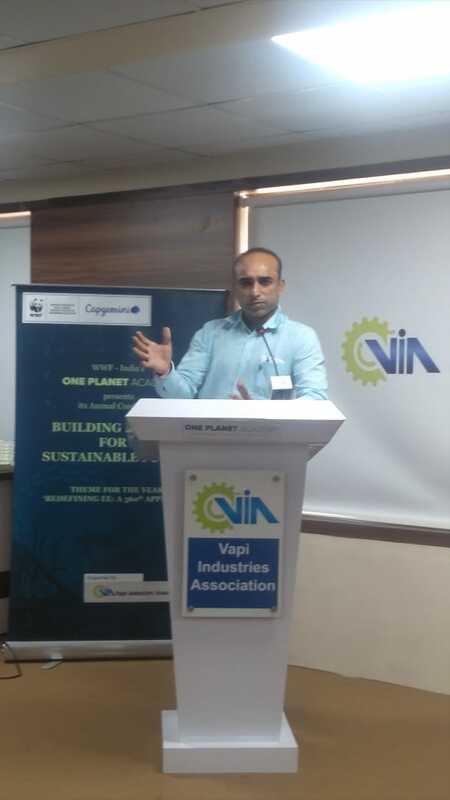 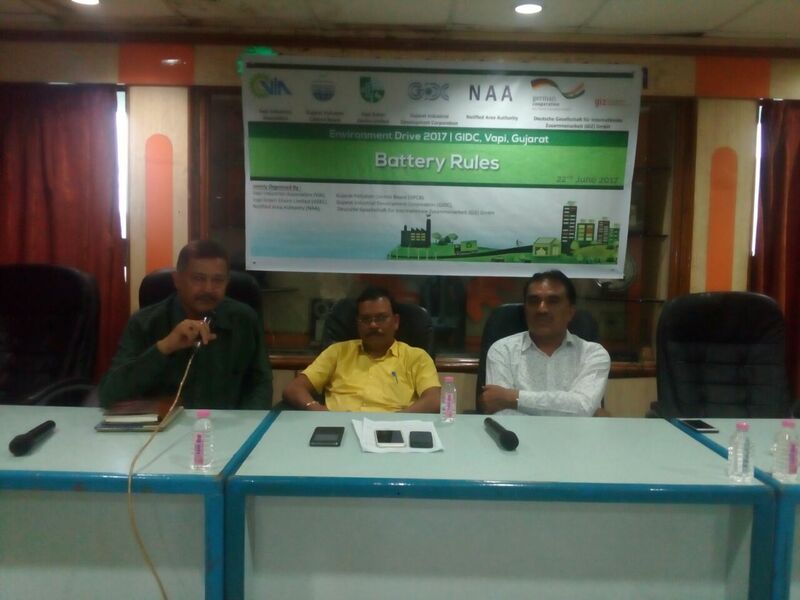 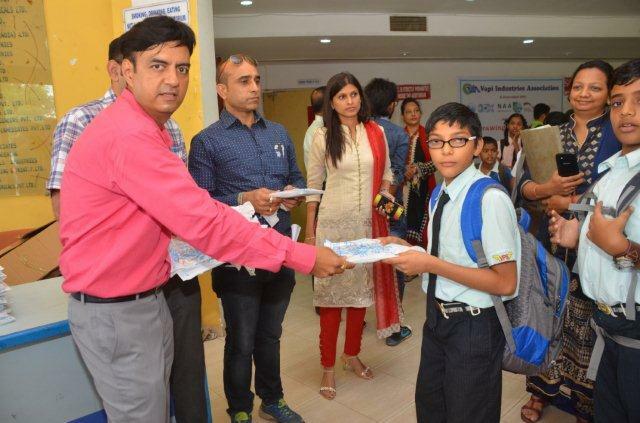 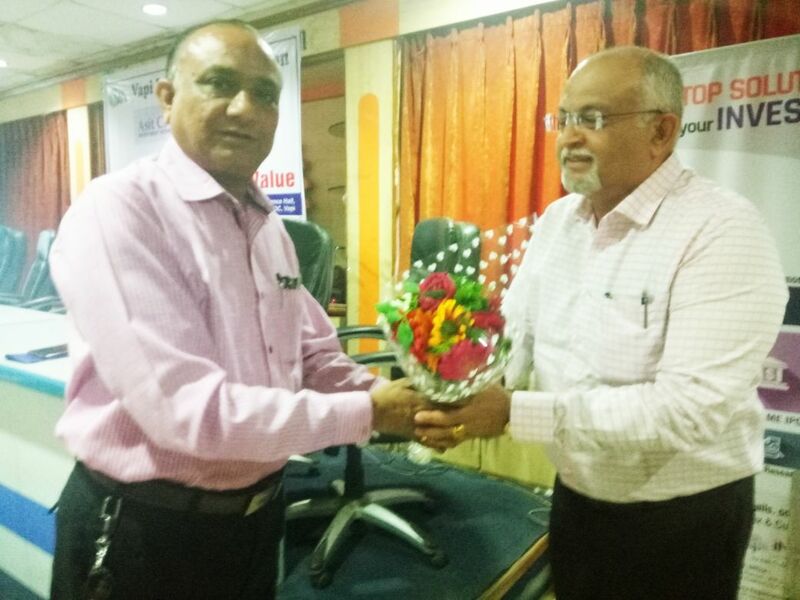 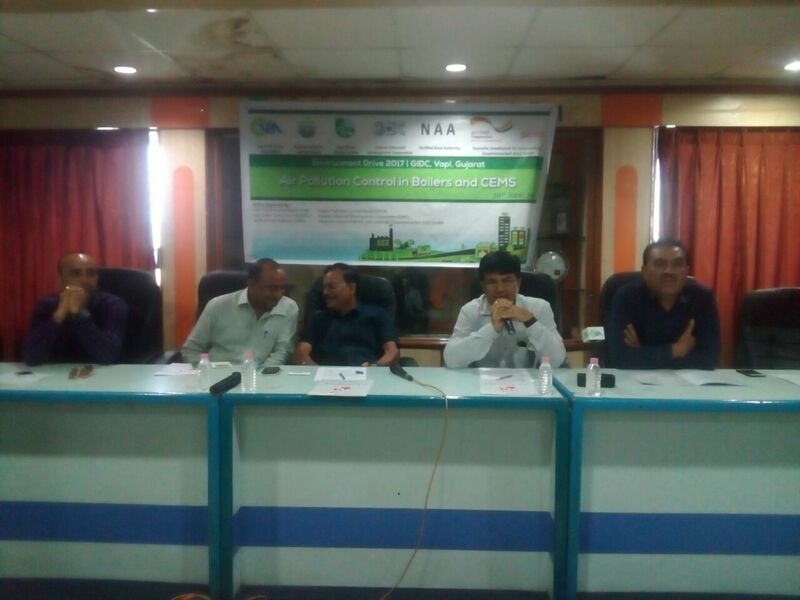 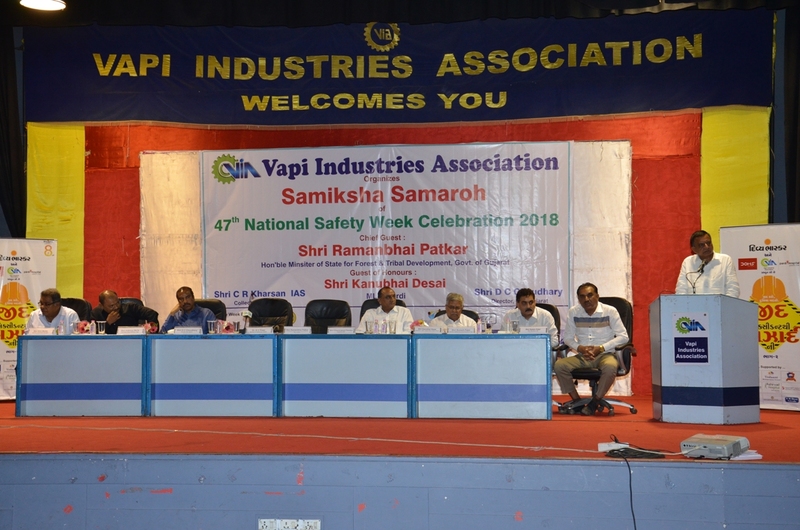 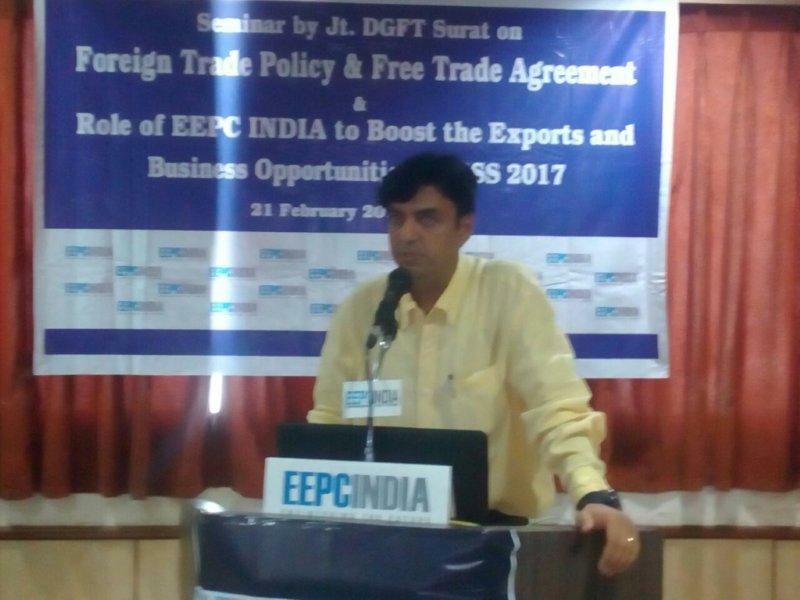 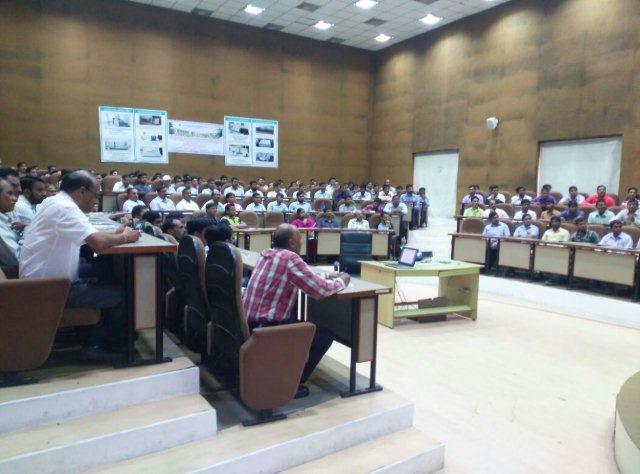 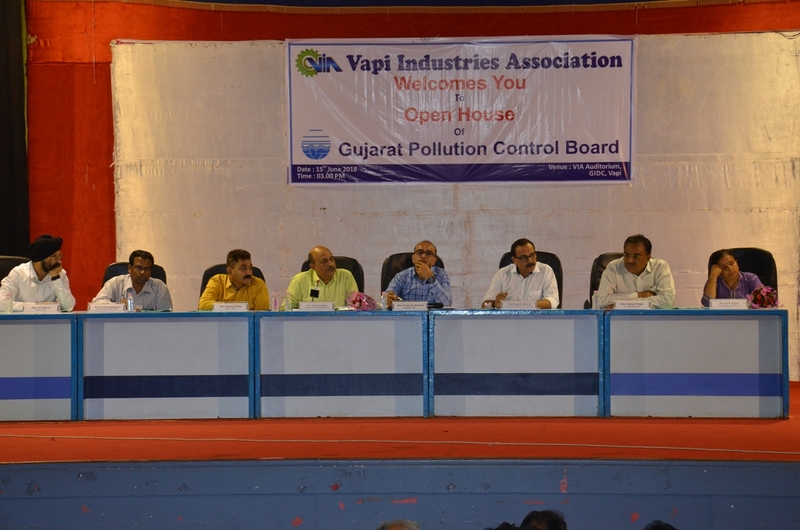 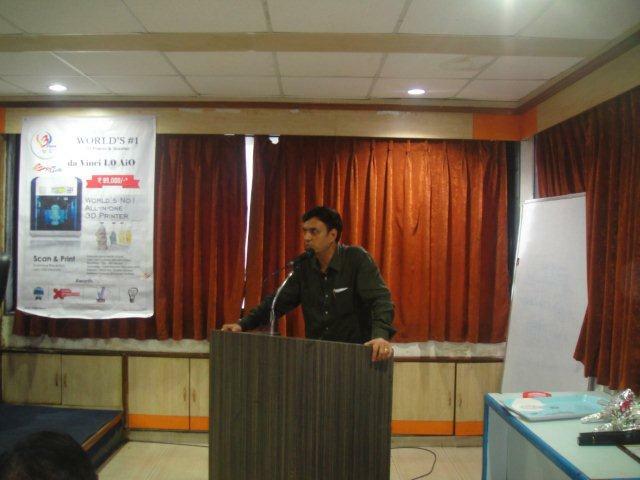 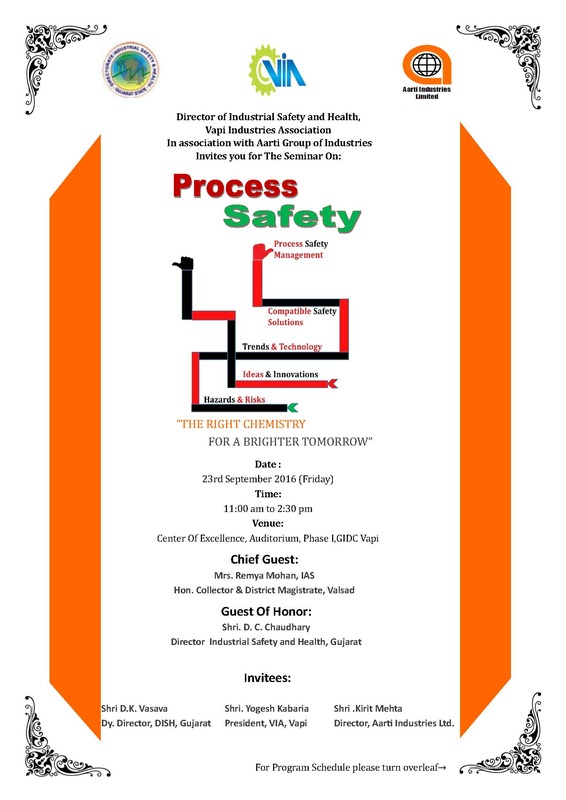 Environment Clinic was organized for topic “Important & Technical Aspects of Pre – Process for Co – Processing” for which presentation was made by Shri Priyesh Bhatti, CEO, RSPL Surat and ways to control pollution were discussed.